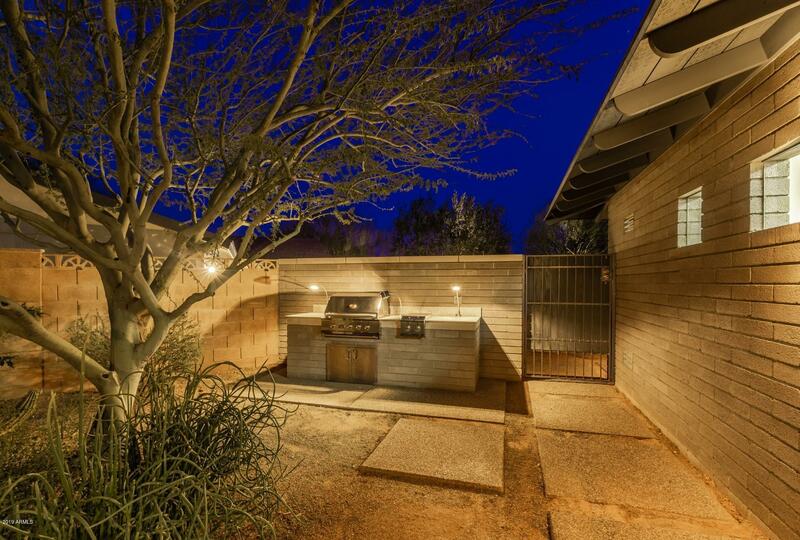 Voted best house on Arcadia Tour! 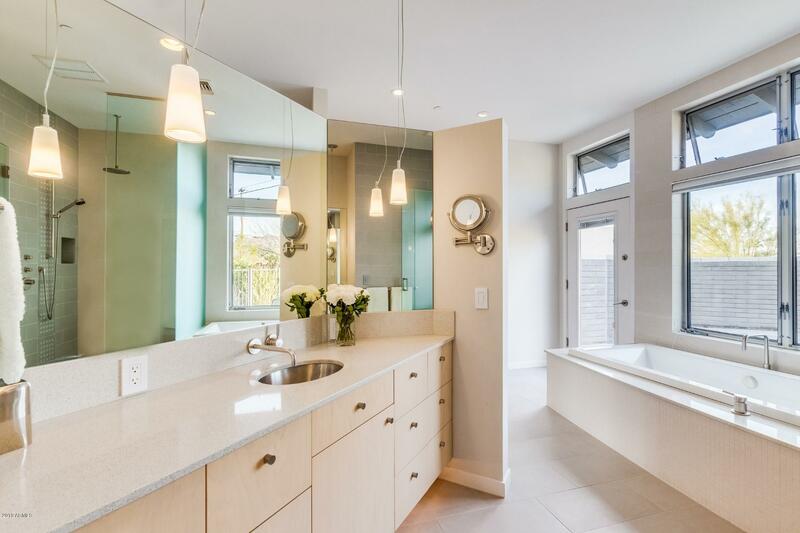 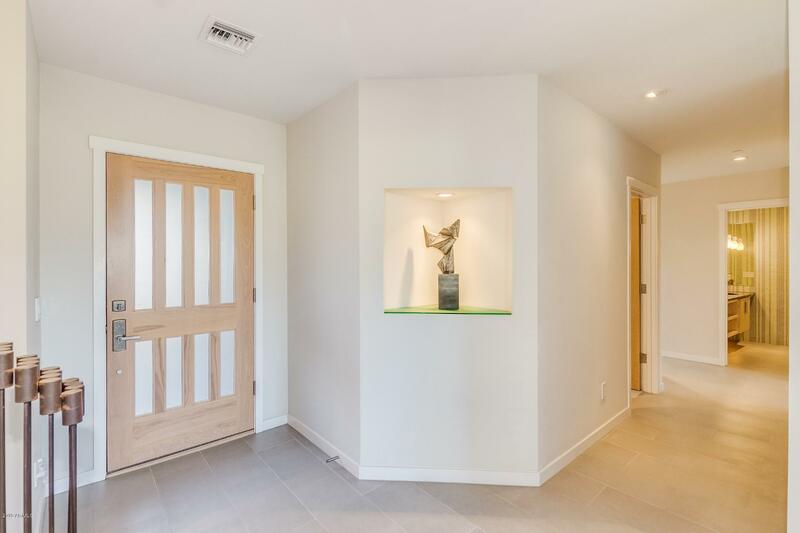 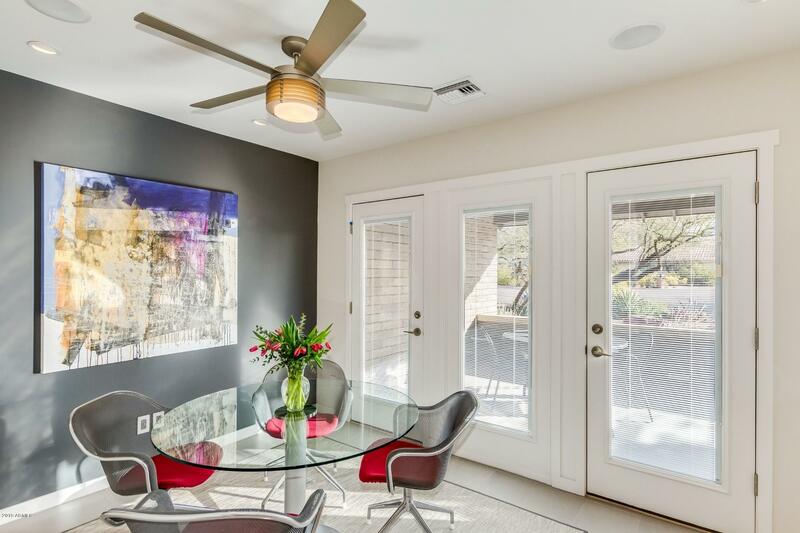 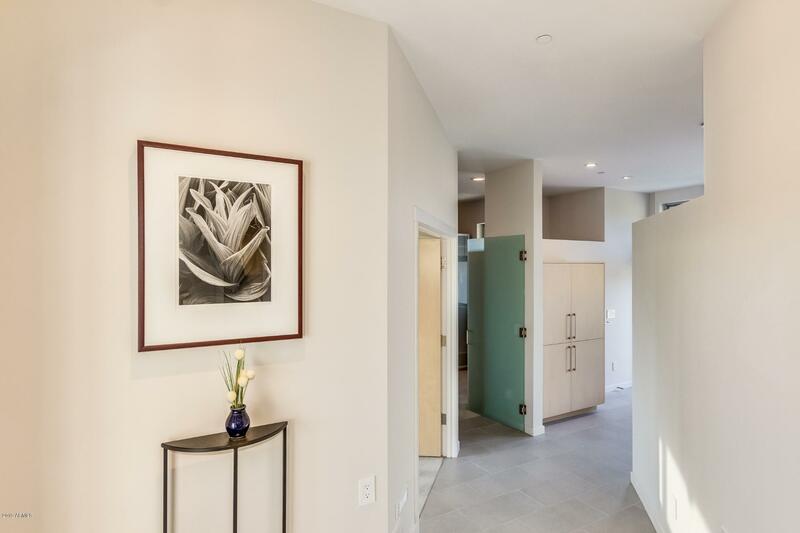 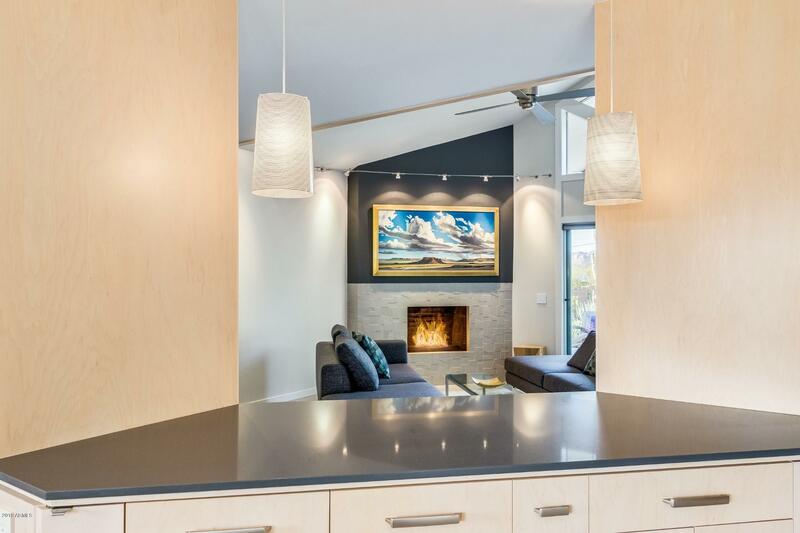 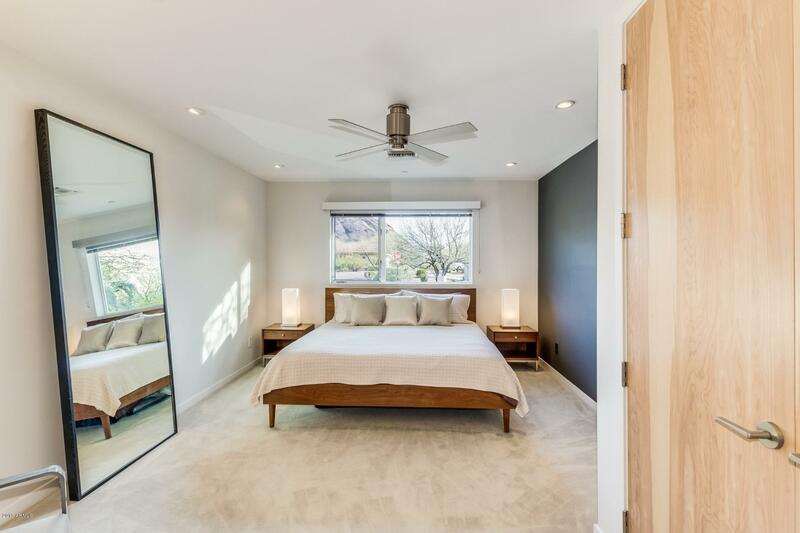 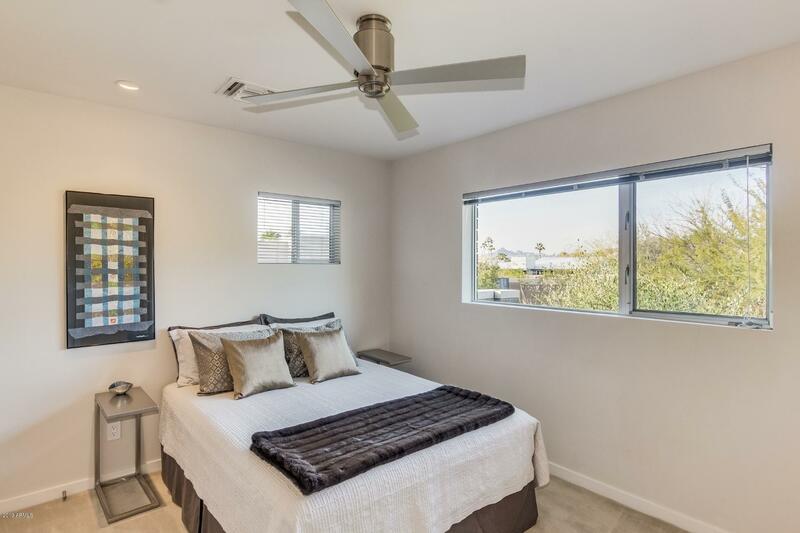 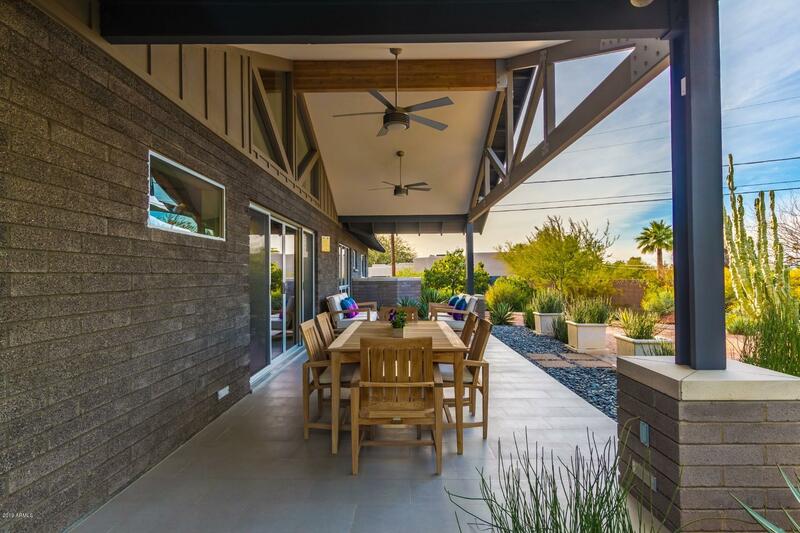 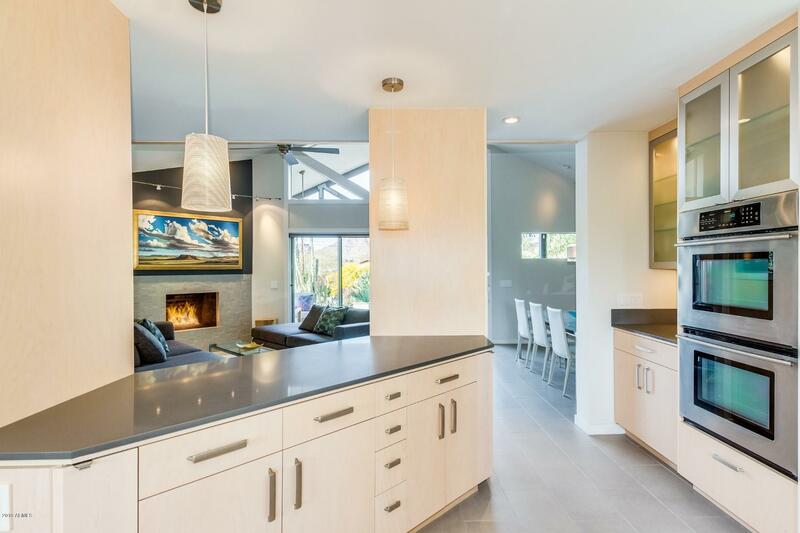 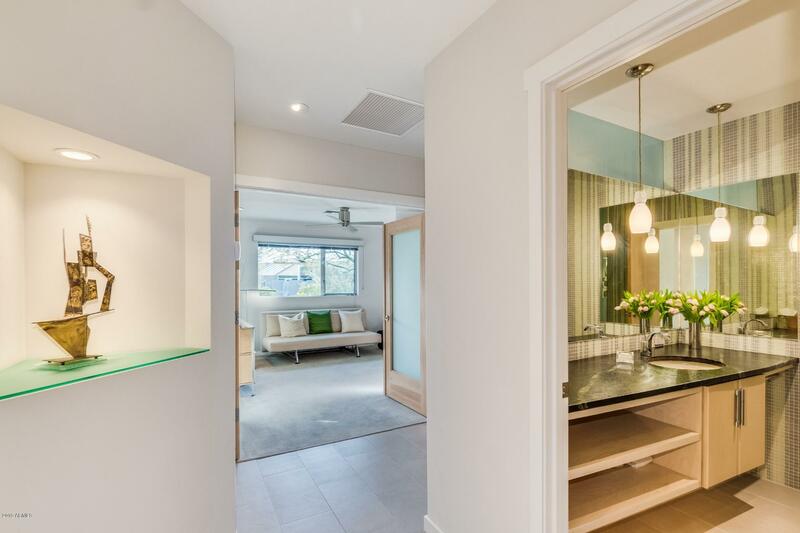 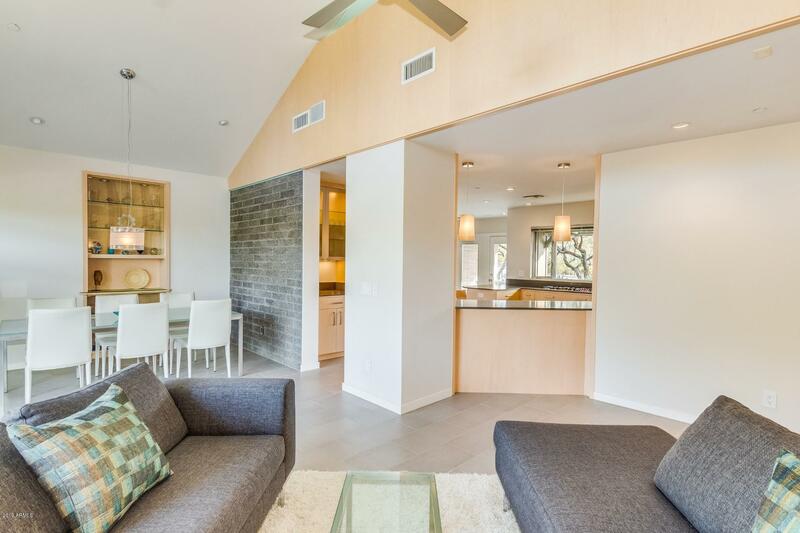 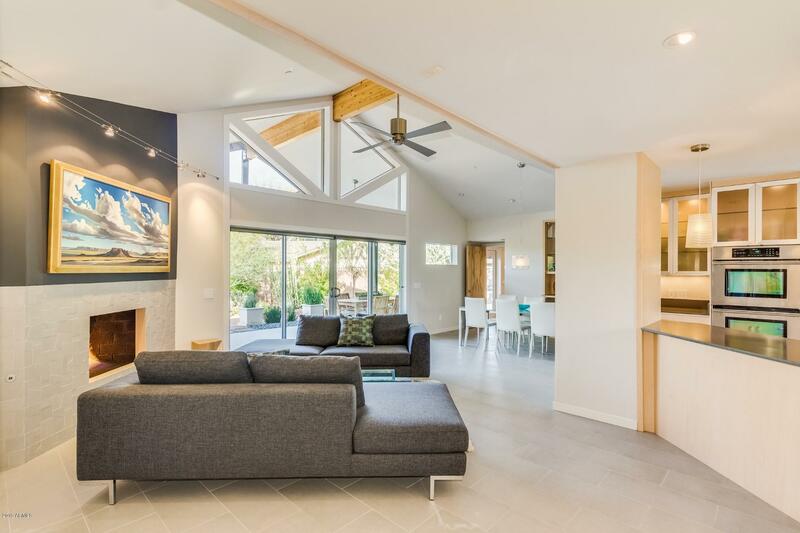 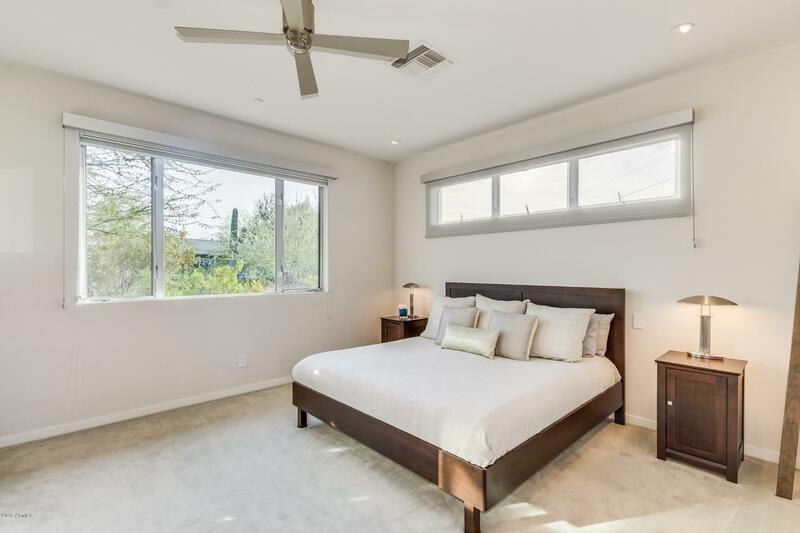 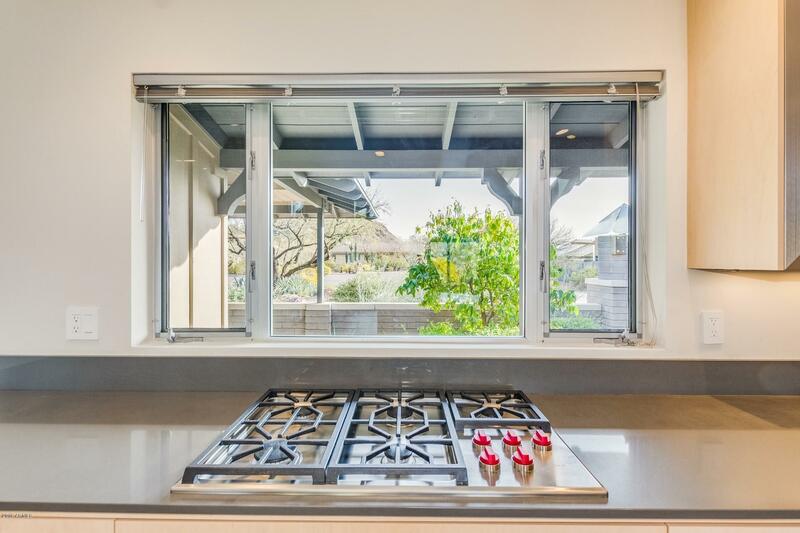 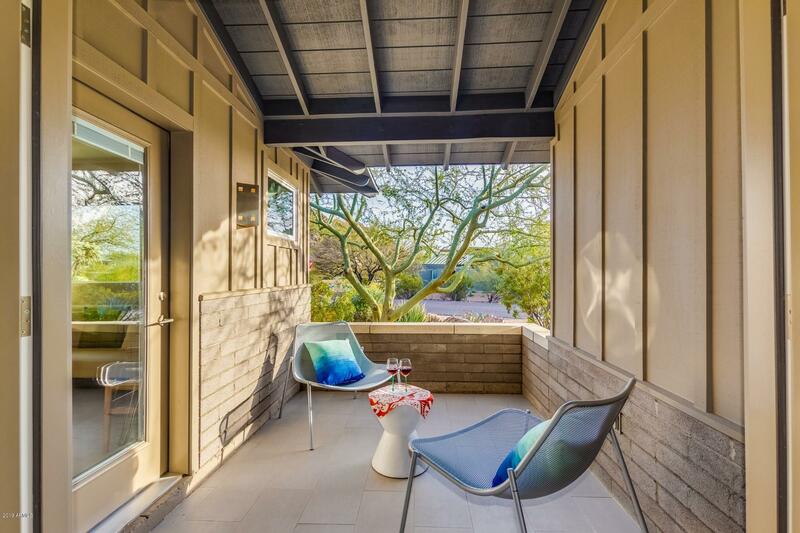 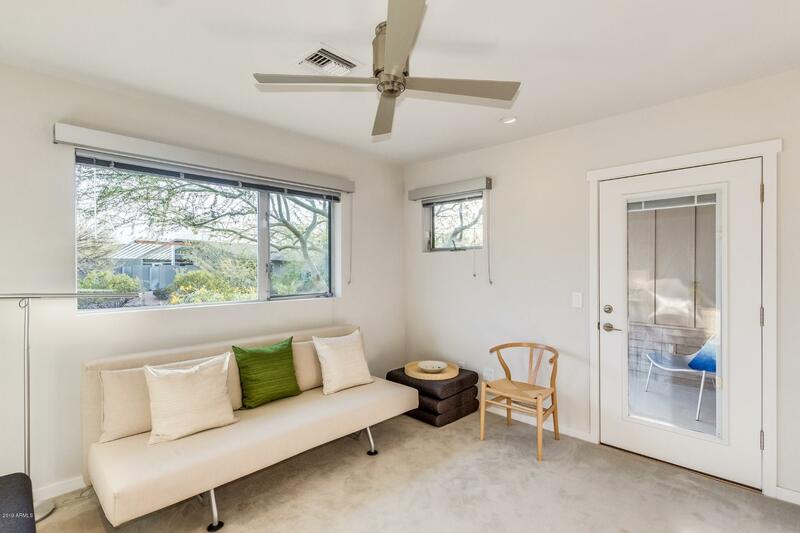 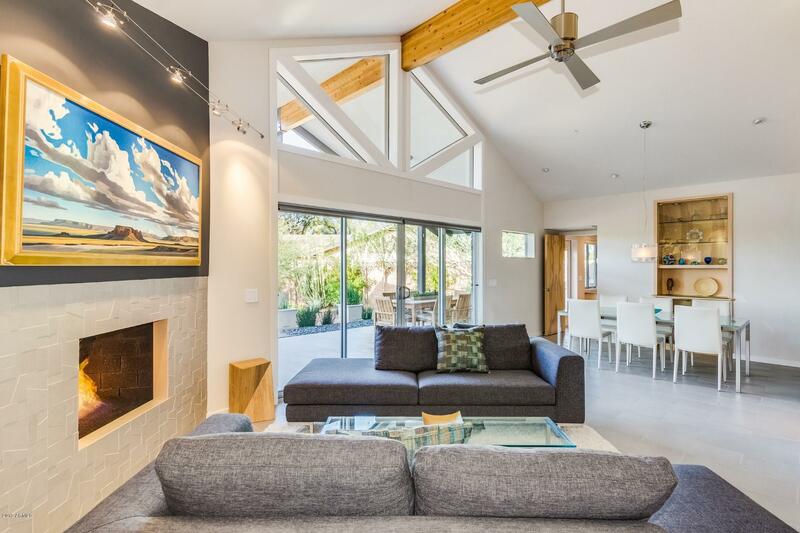 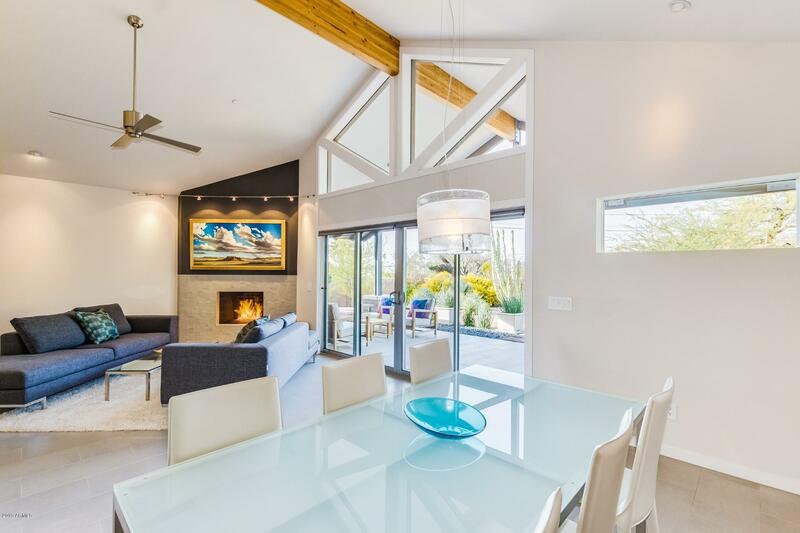 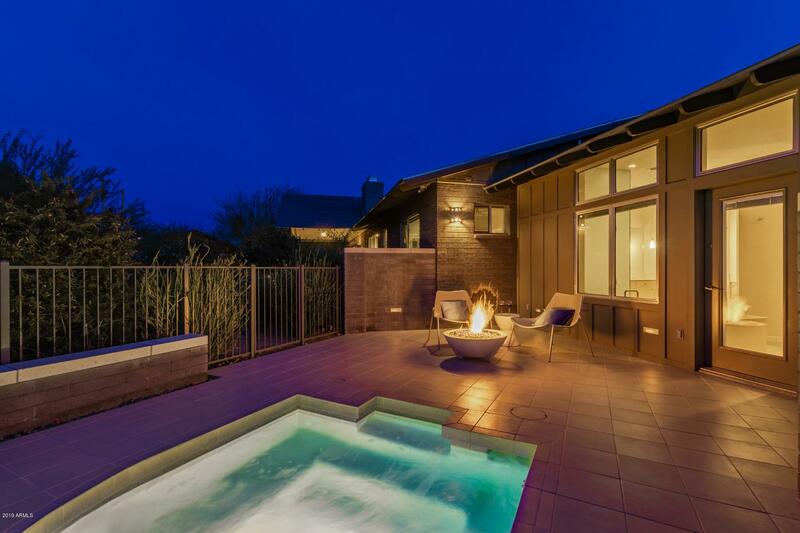 Spectacular warm contemporary magazine-worthy home lovingly expanded & reconstructed from the ground up w/ only the finest design, spaces & finishes. 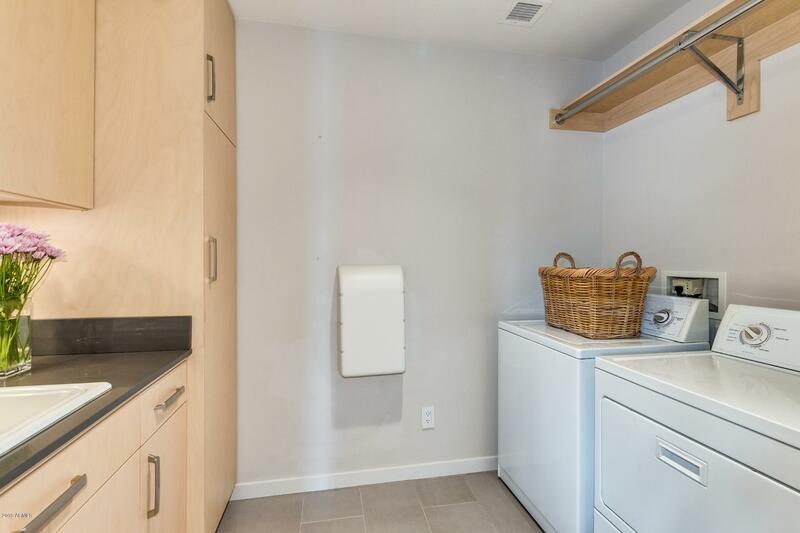 No expense spared to create this exquisite piece of art. 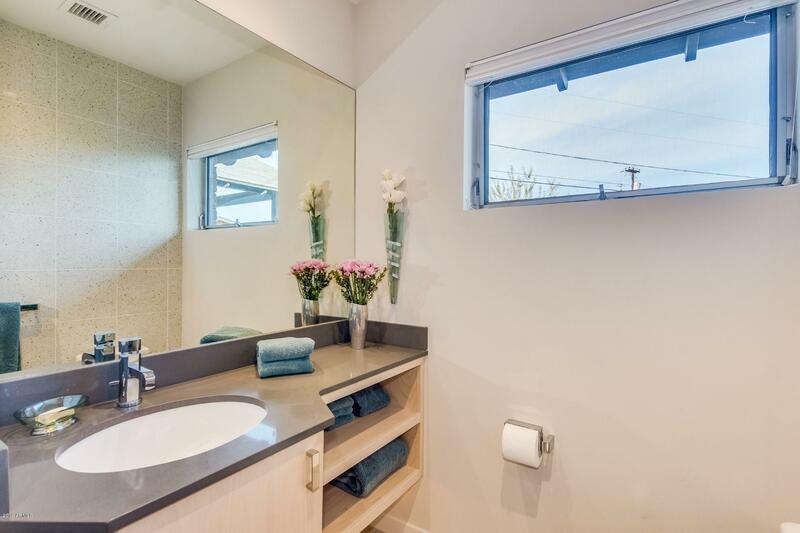 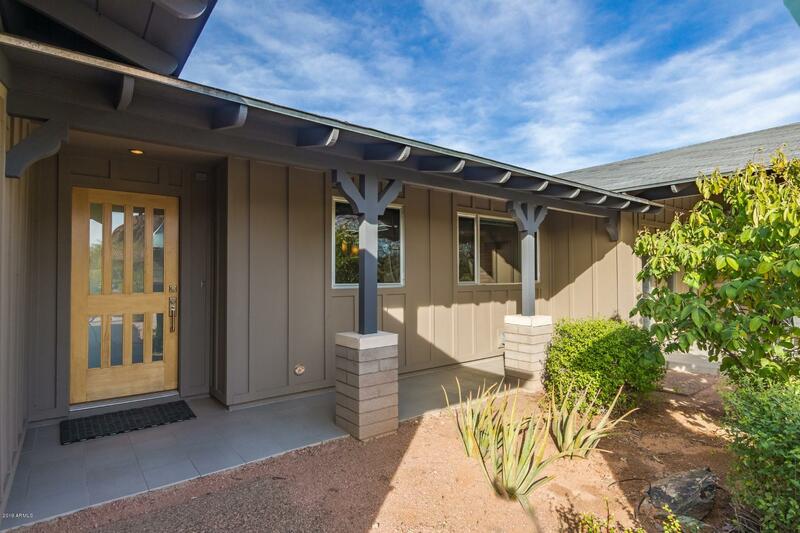 Gorgeous 4 bed + office, 3 bath, 4 car garage, 3043 s.f. 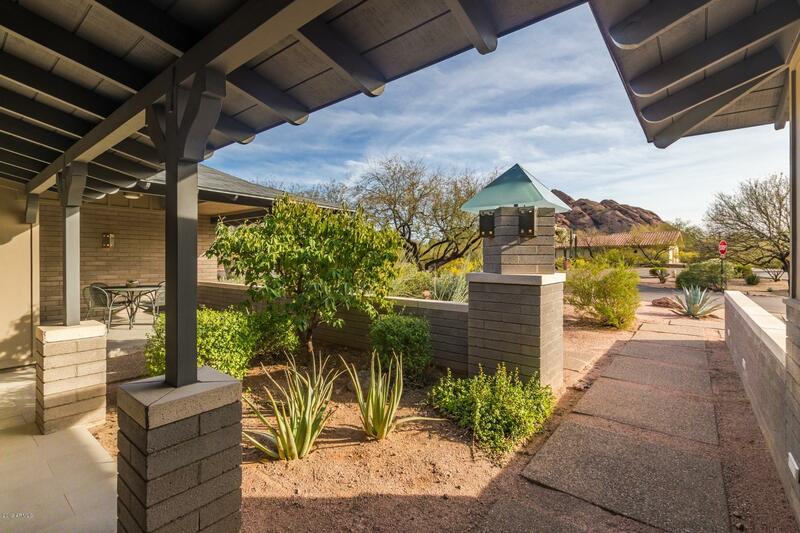 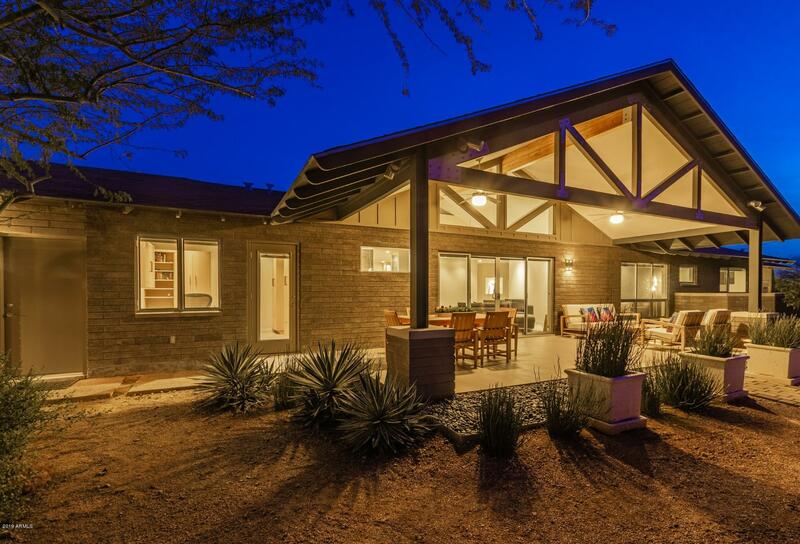 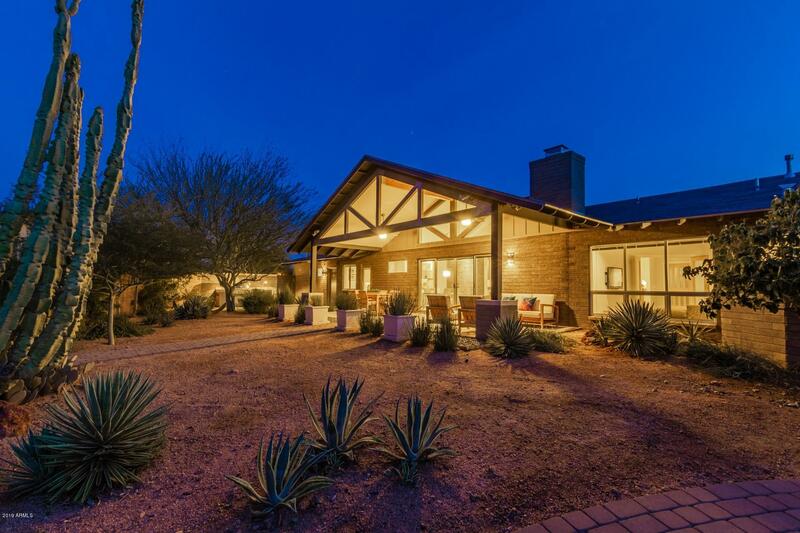 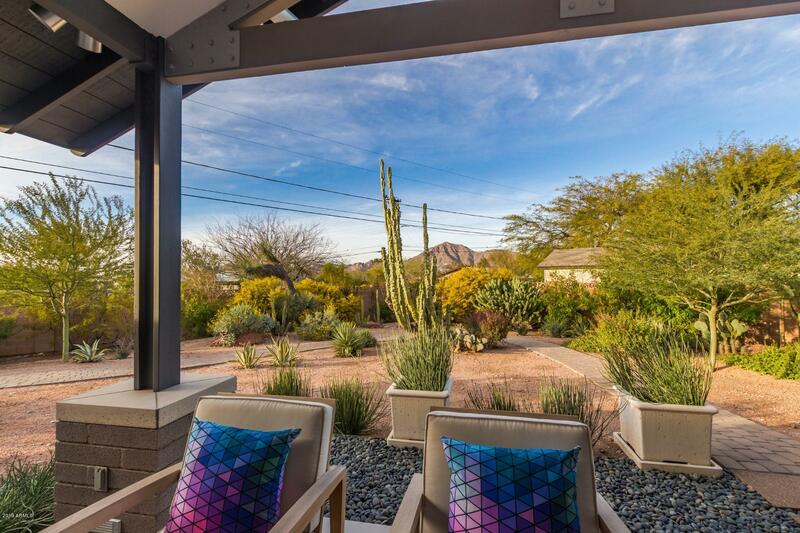 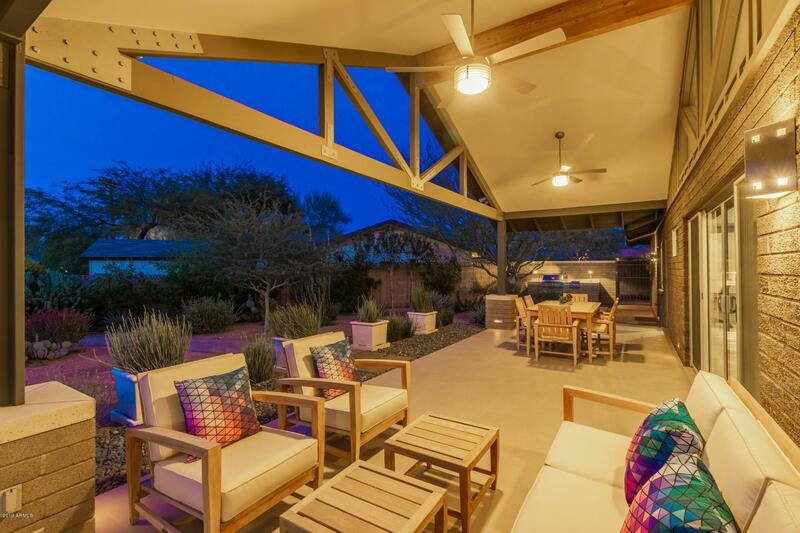 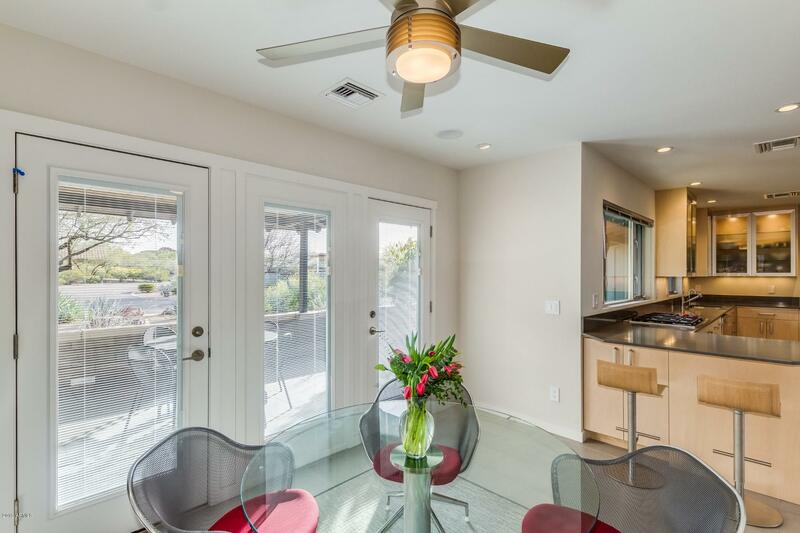 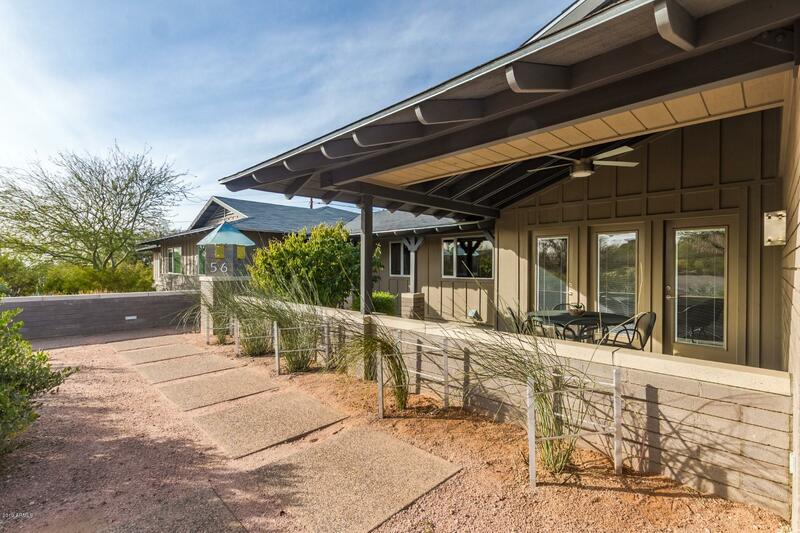 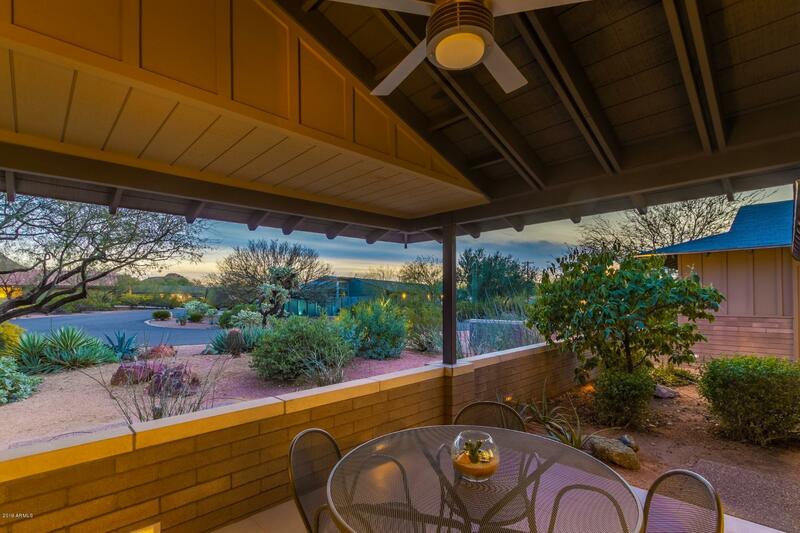 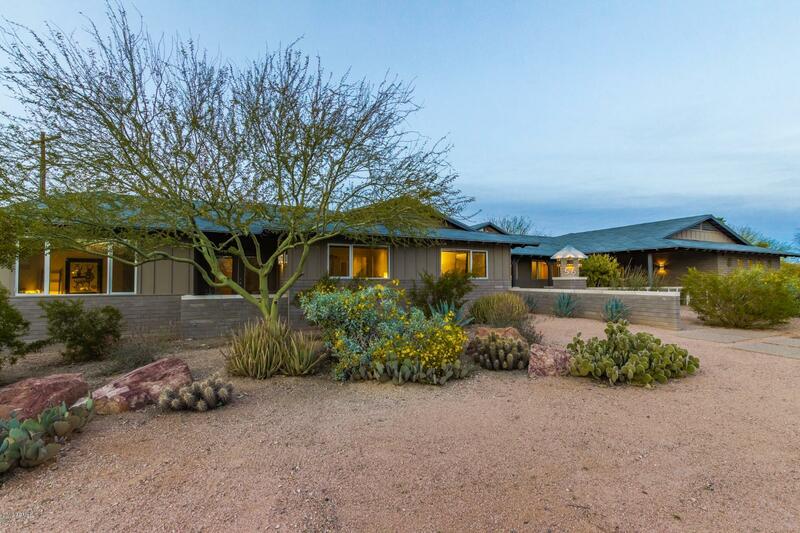 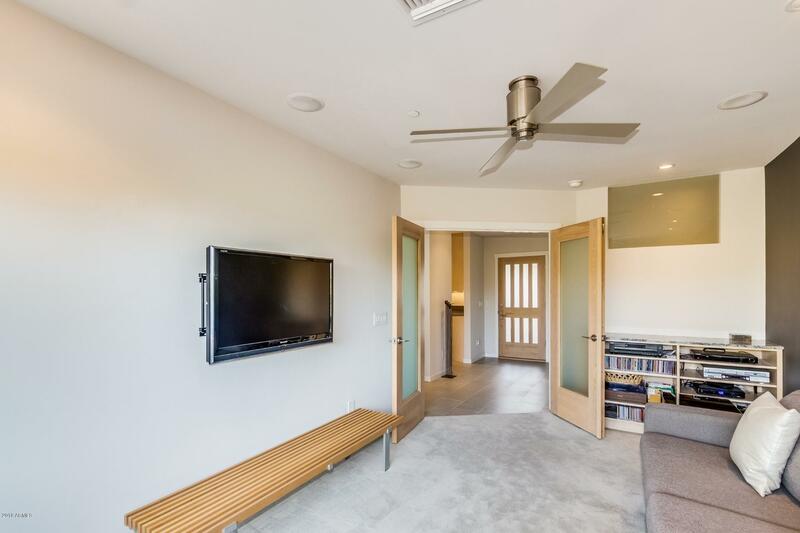 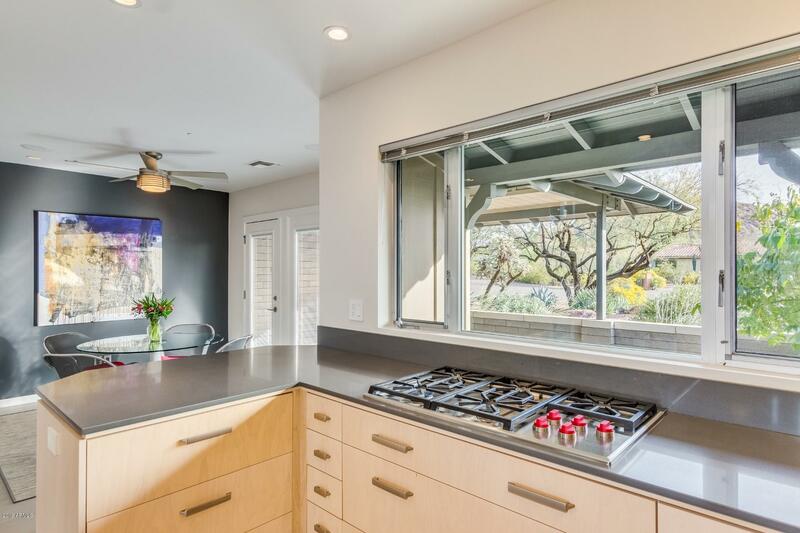 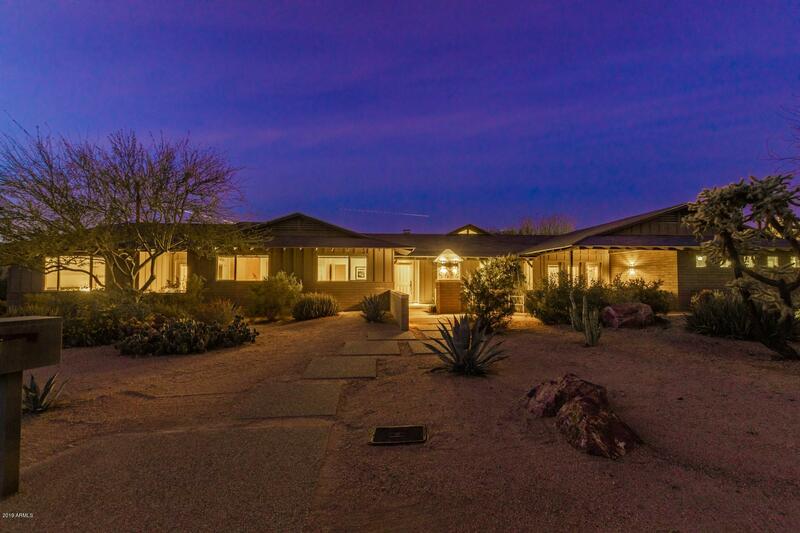 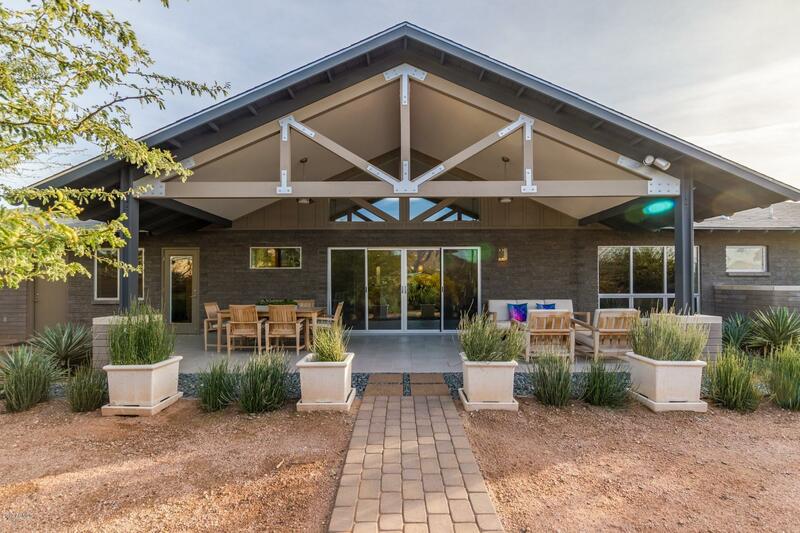 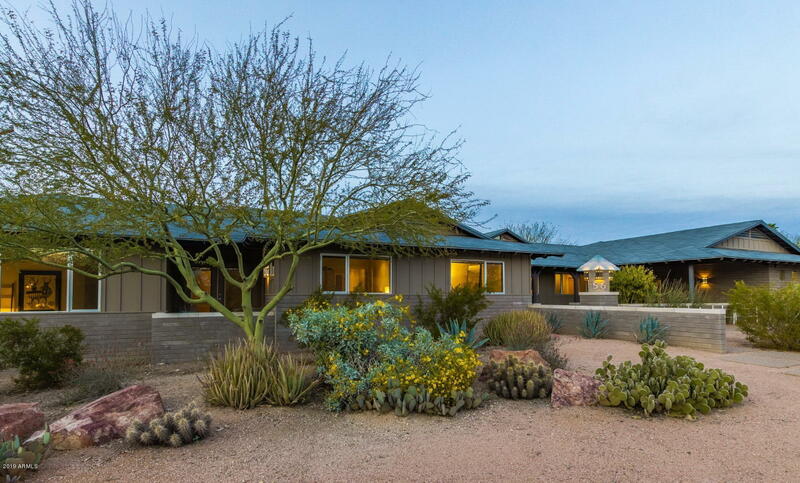 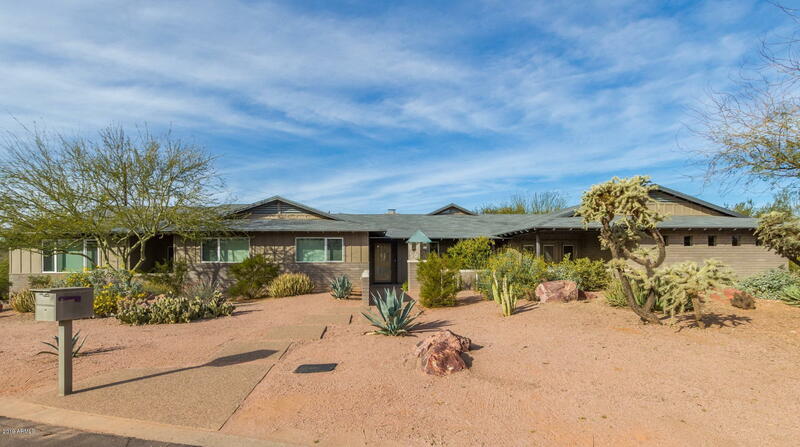 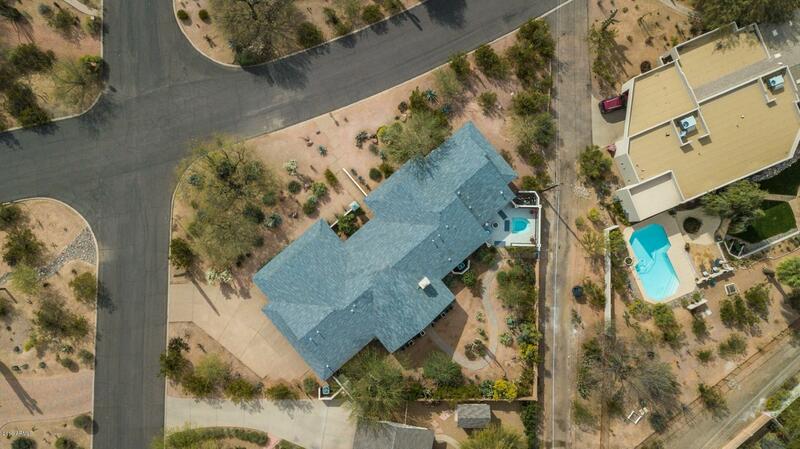 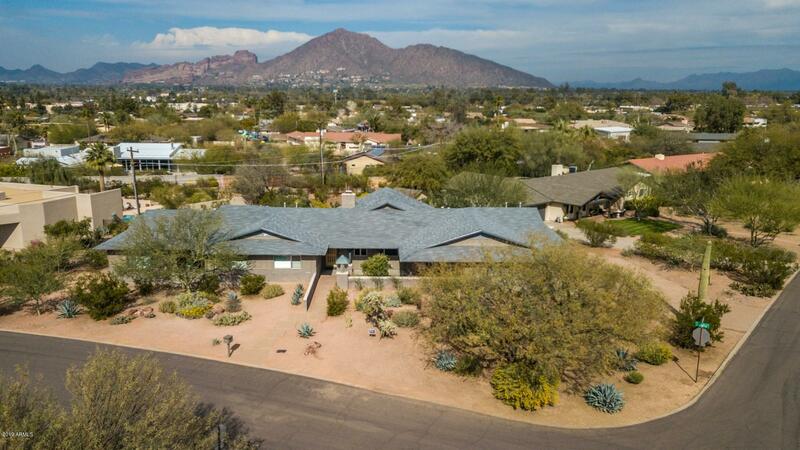 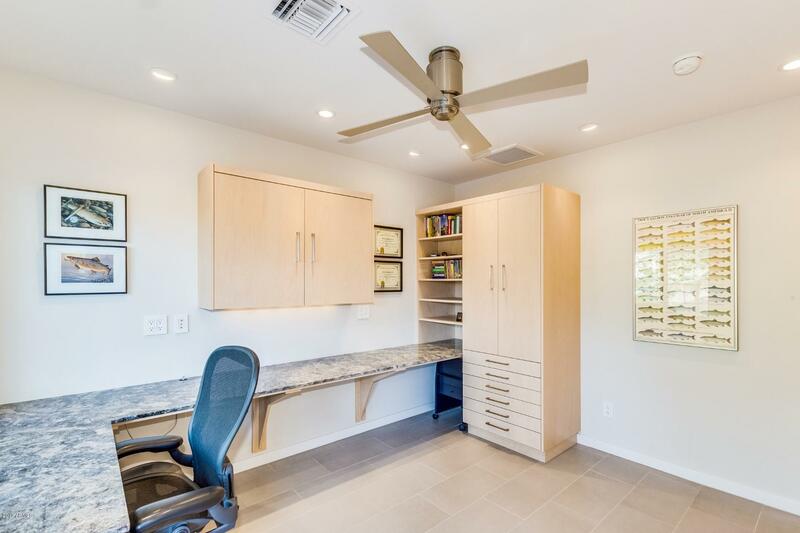 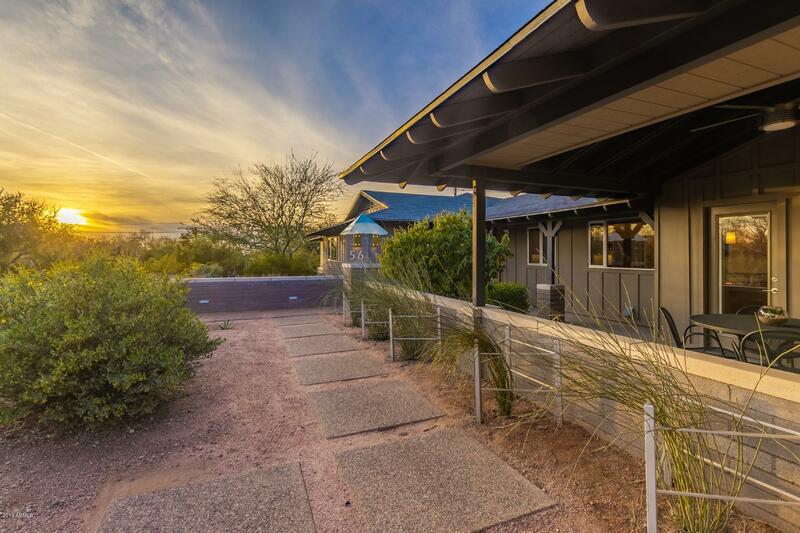 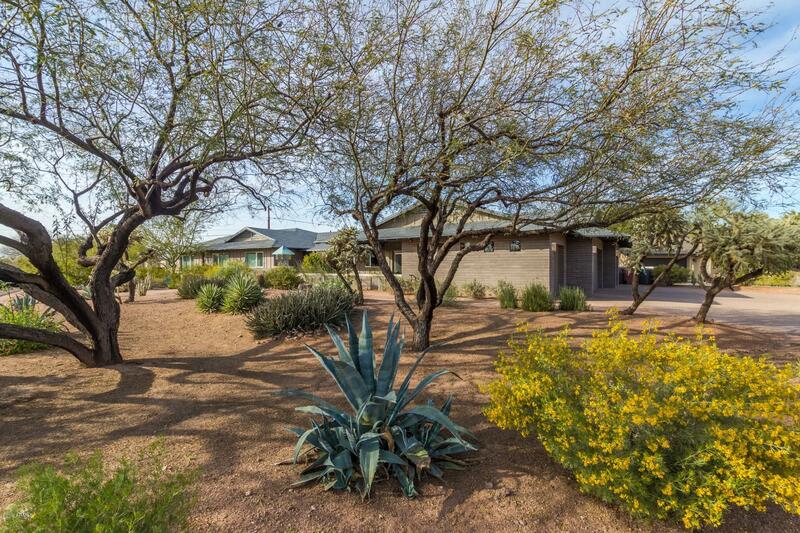 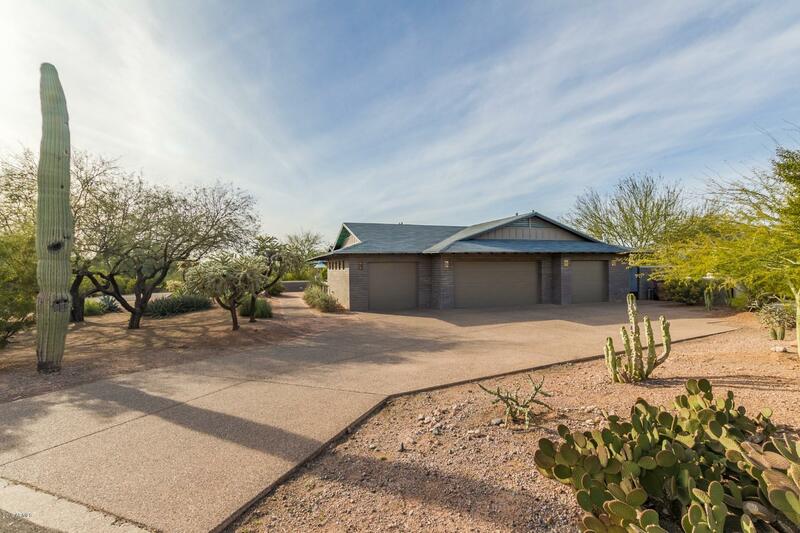 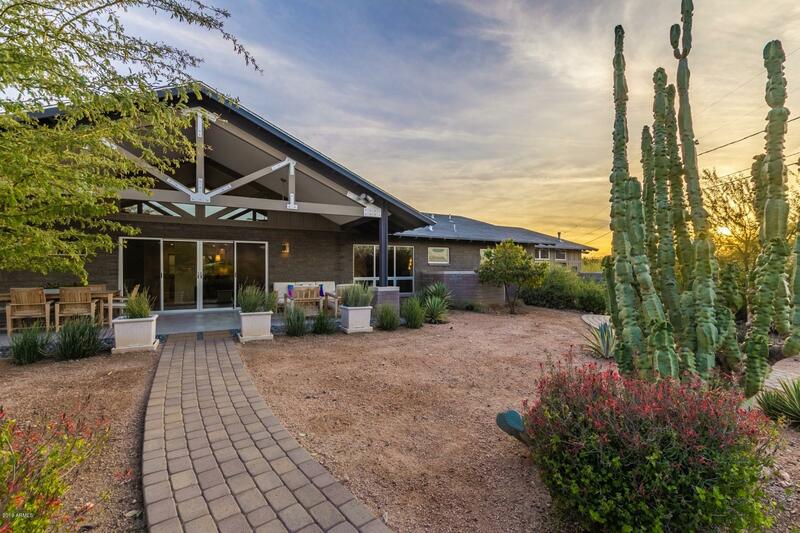 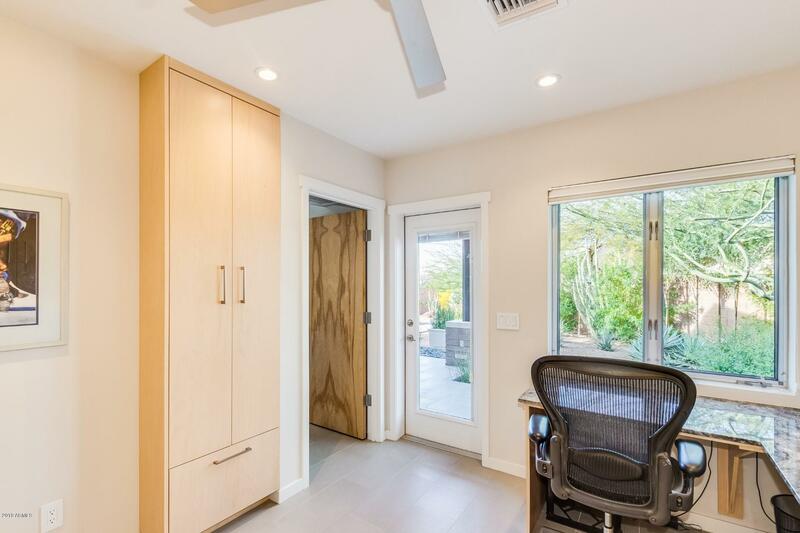 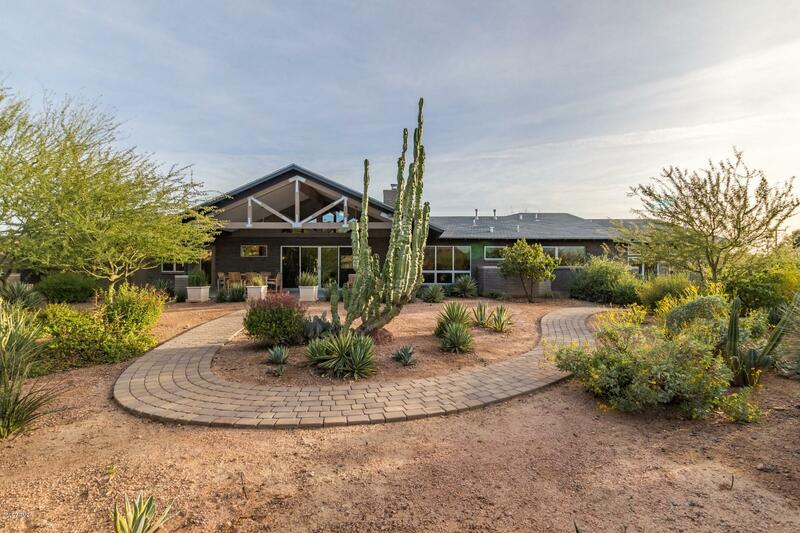 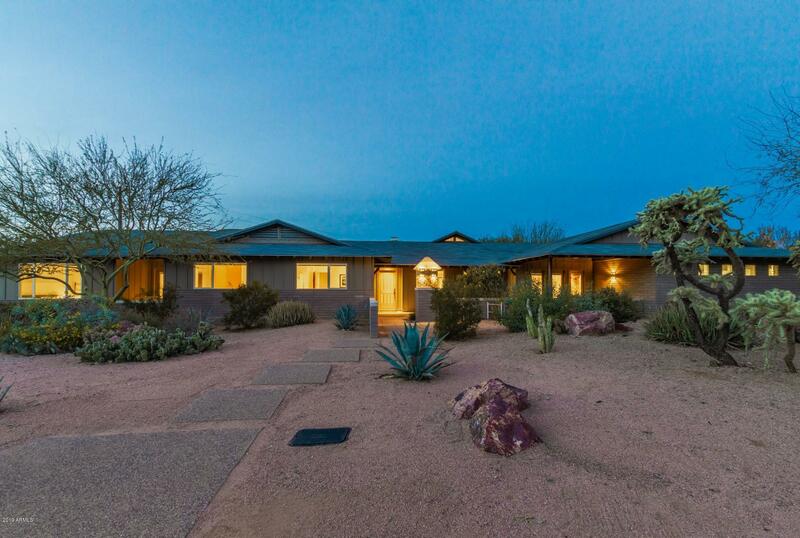 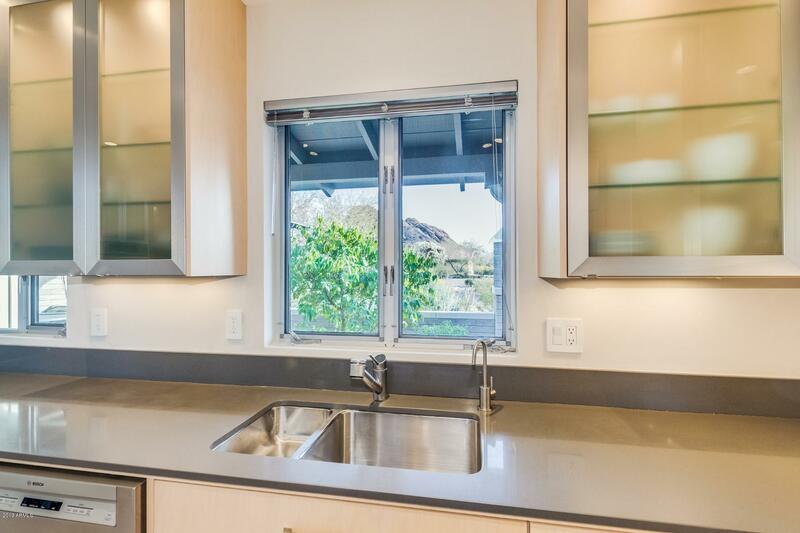 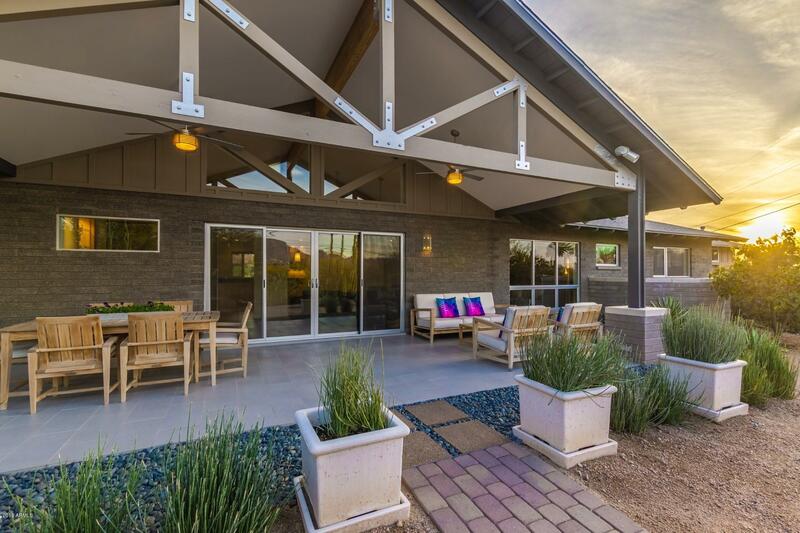 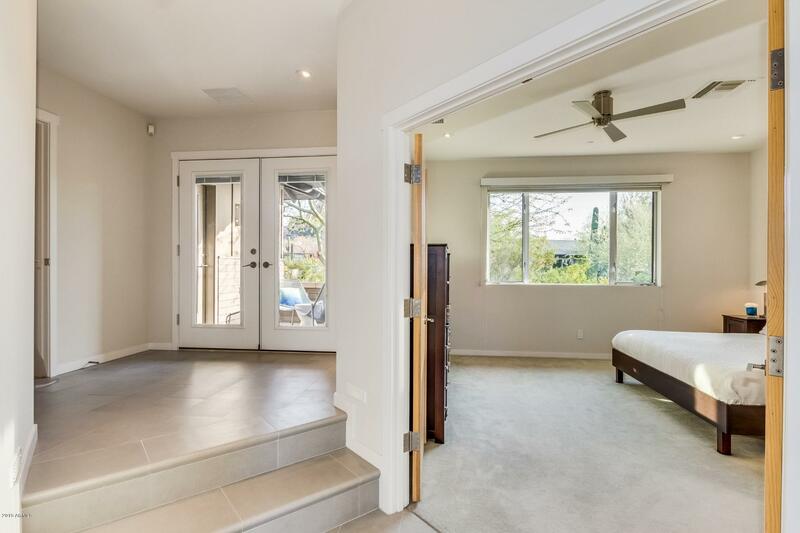 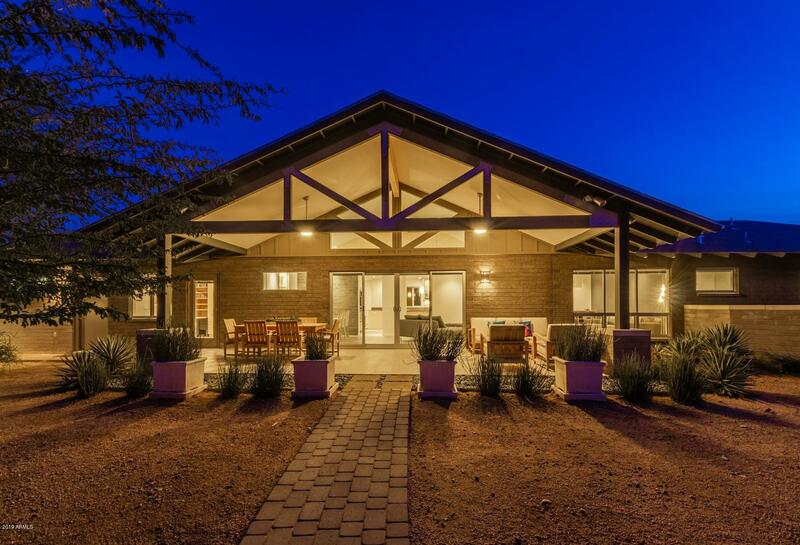 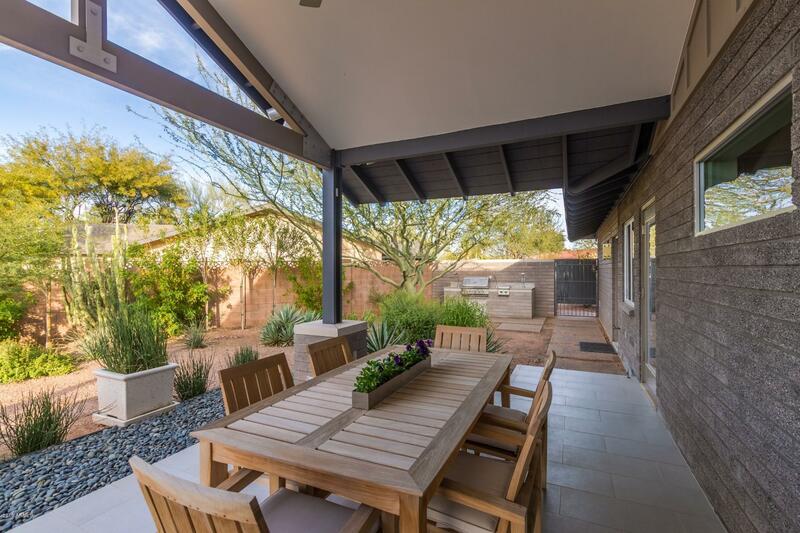 home on quiet .4 acre lot w/ mountain views both north & south.. Breathtaking living/ dining open to kitchen w/15' vaulted/beamed ceilings framing view of Camelback Mtn. 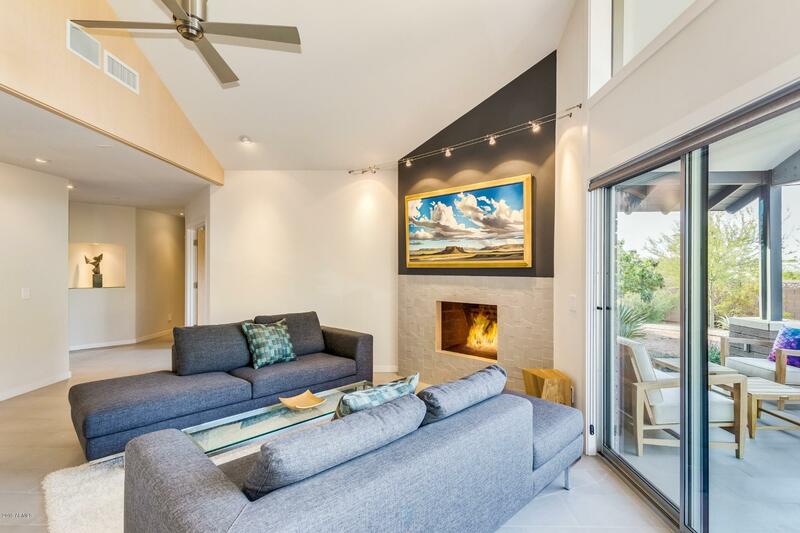 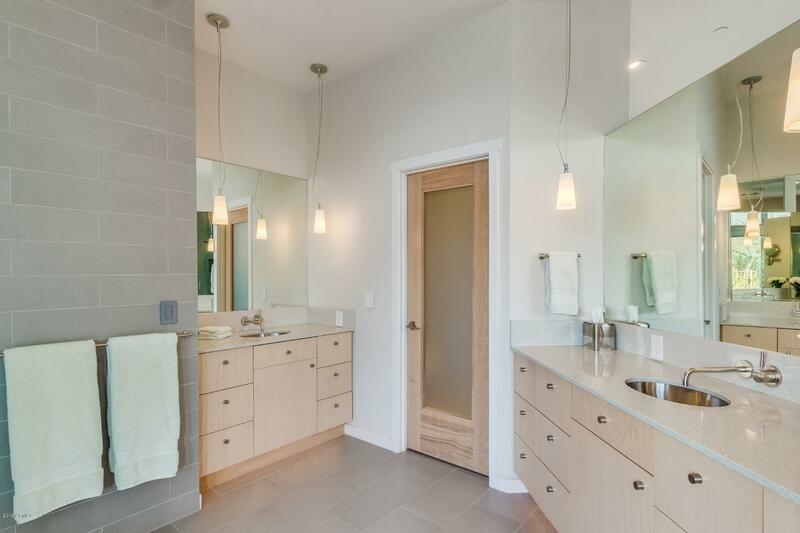 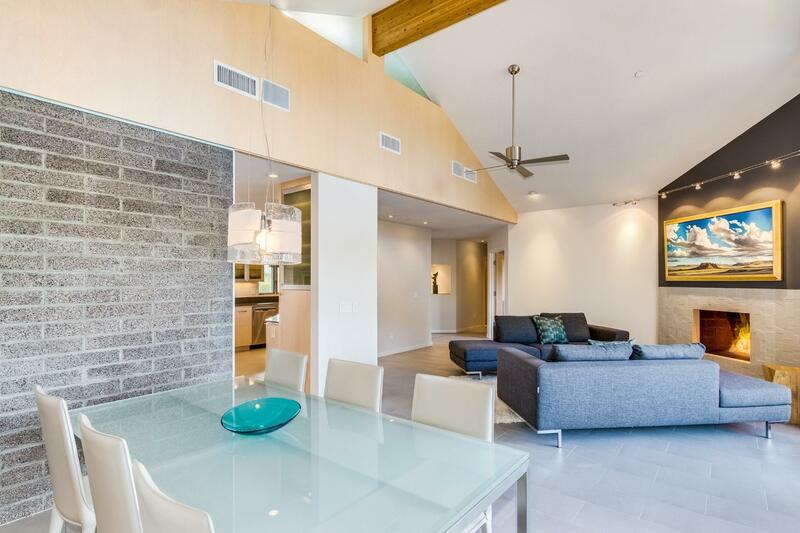 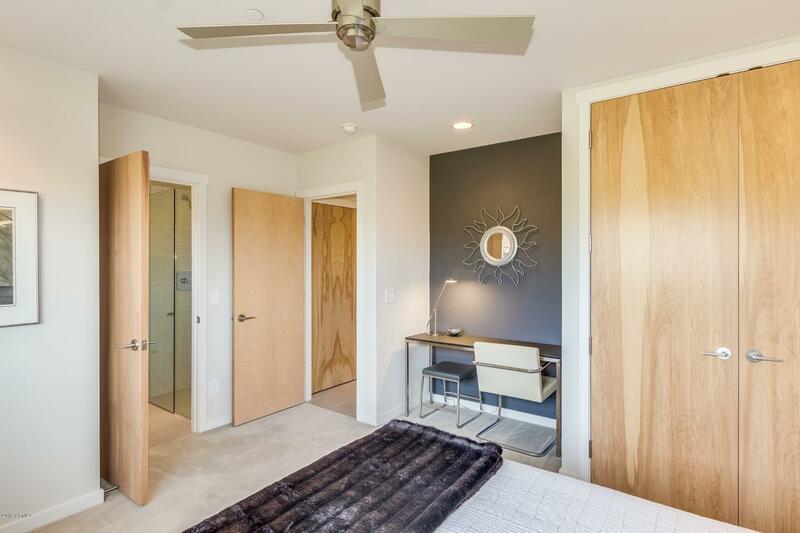 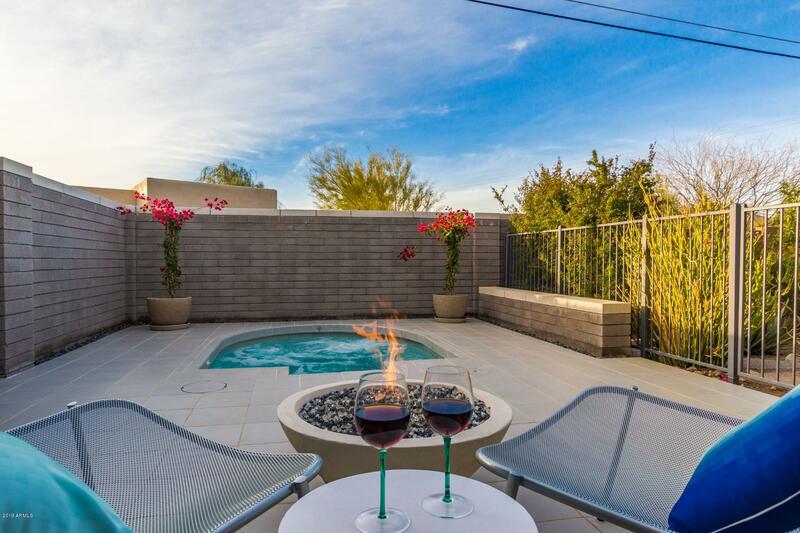 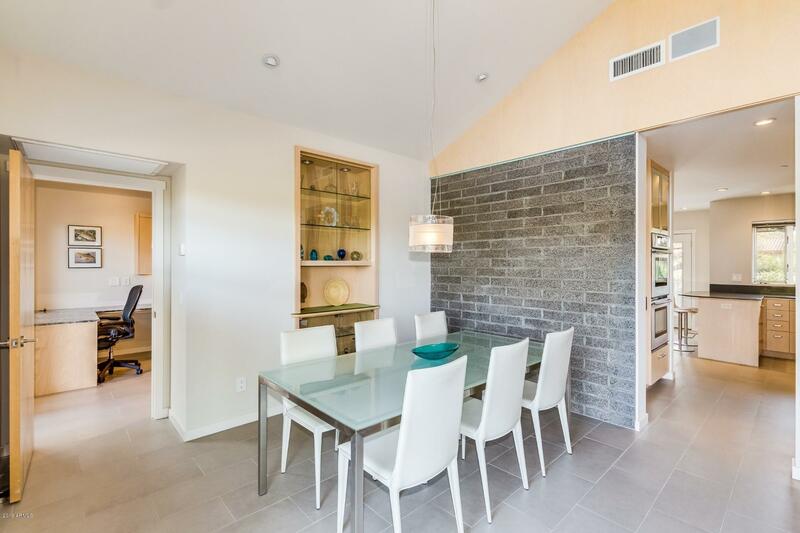 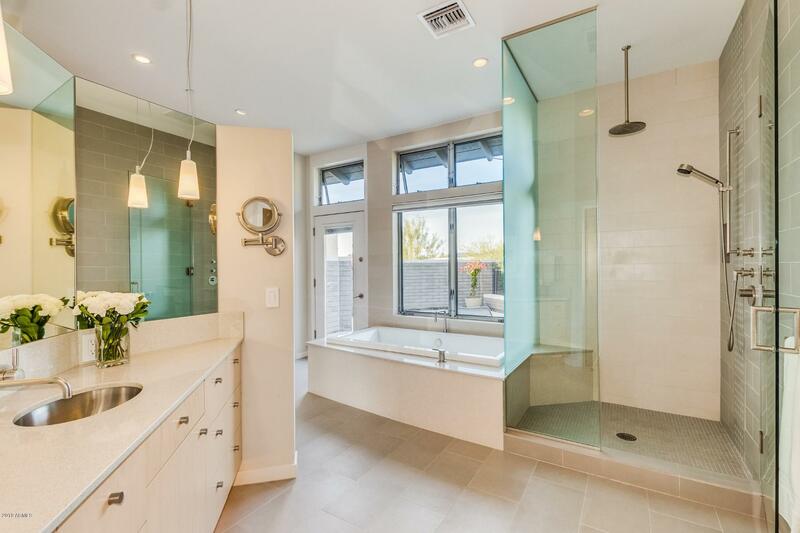 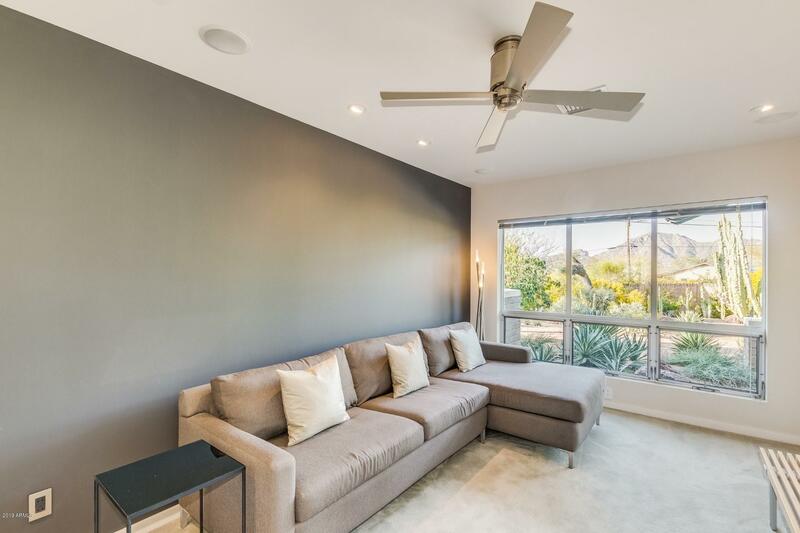 Sleek lines, impeccable finishes, architectural tile floors, stunning fireplace. 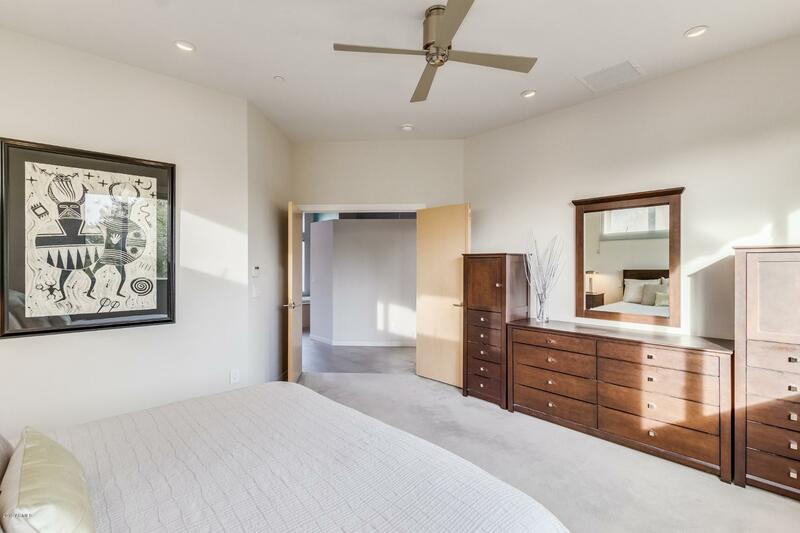 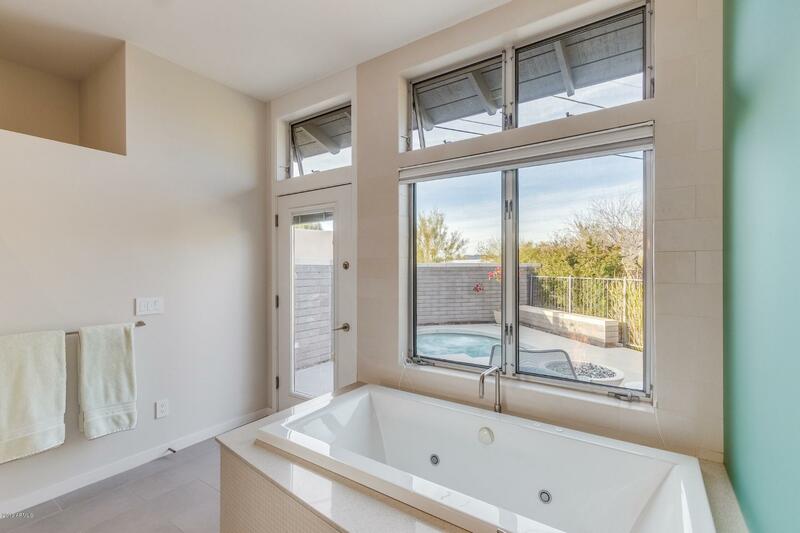 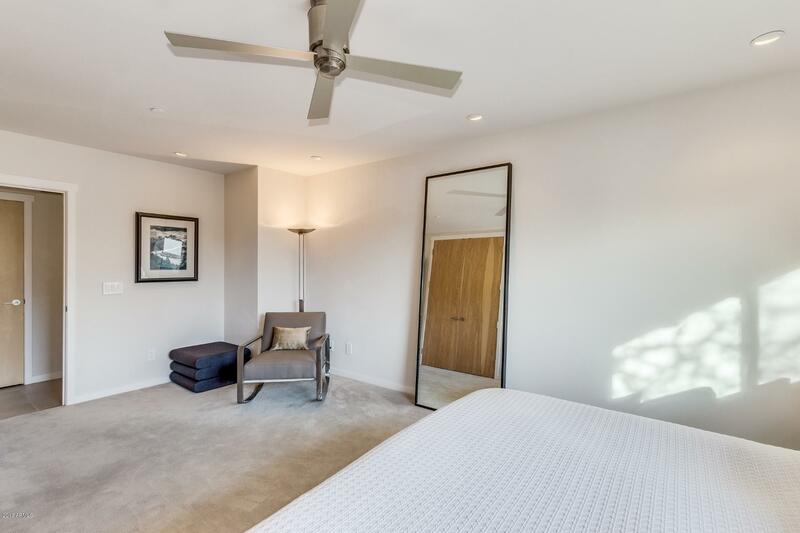 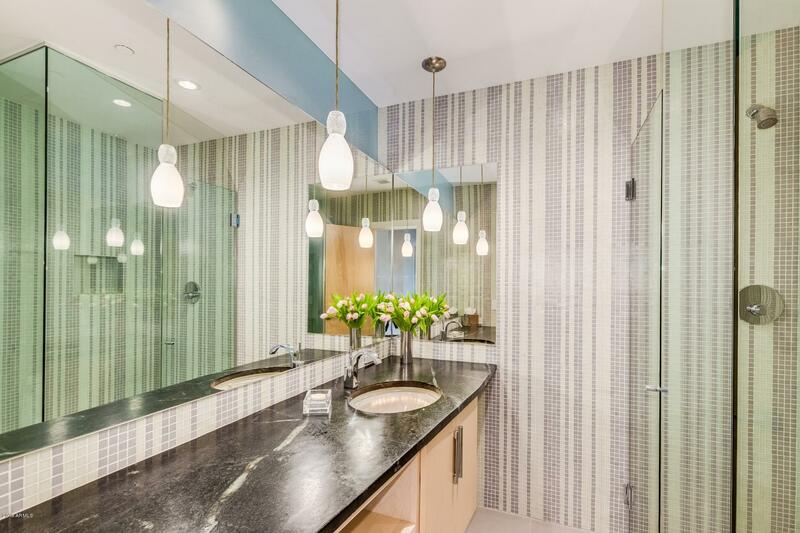 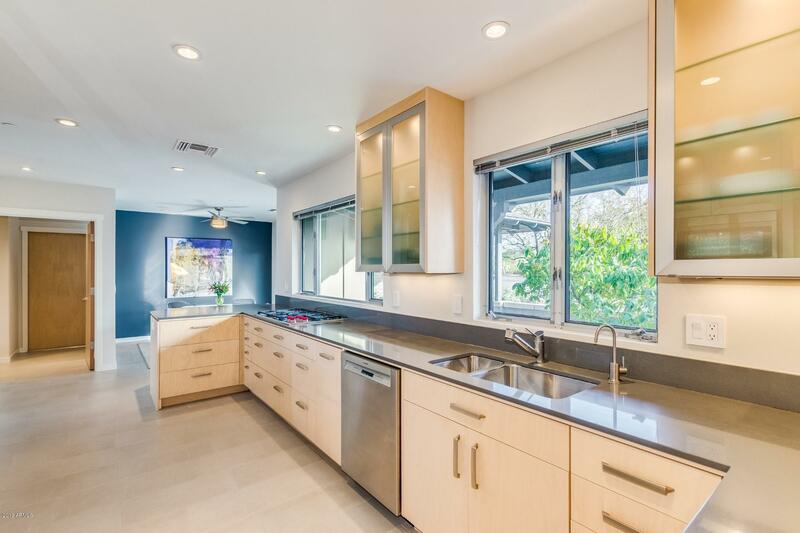 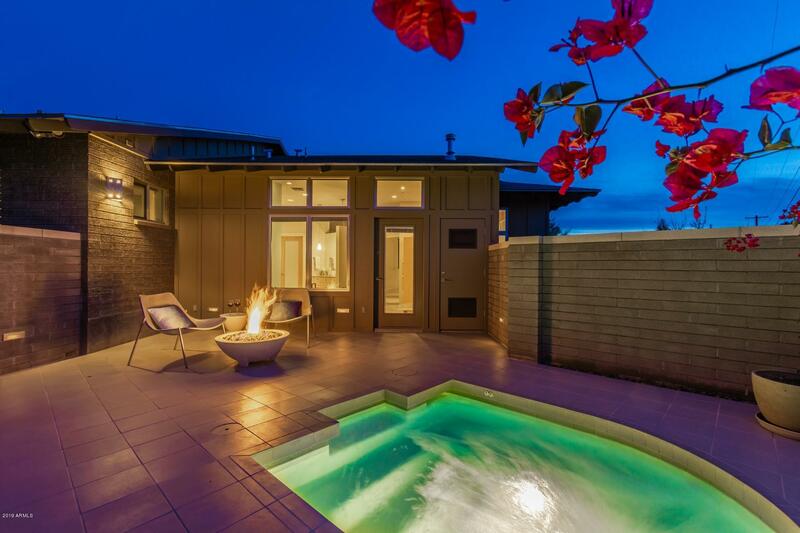 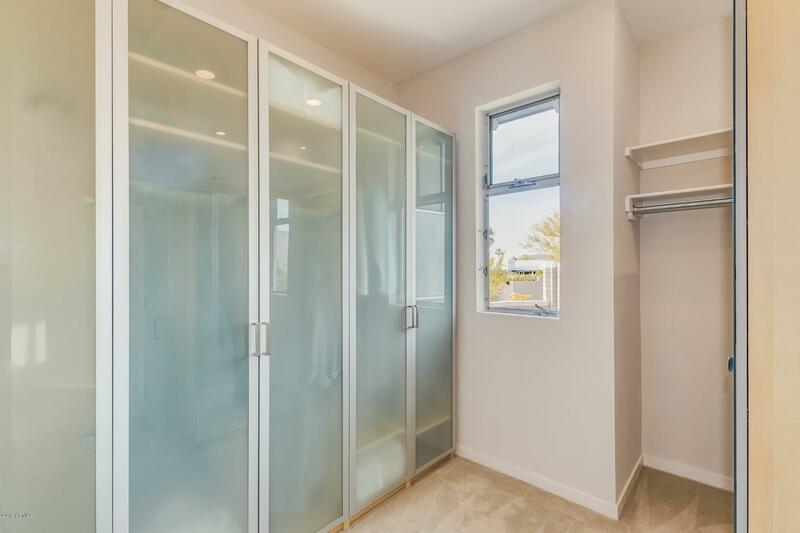 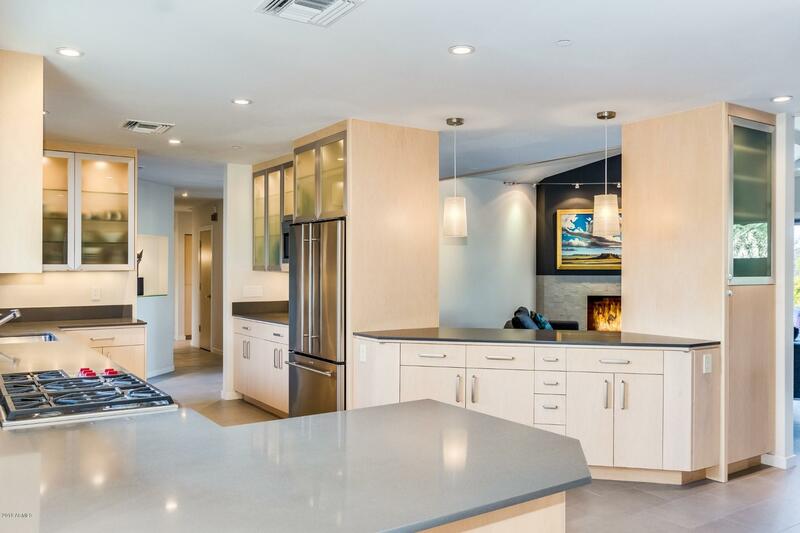 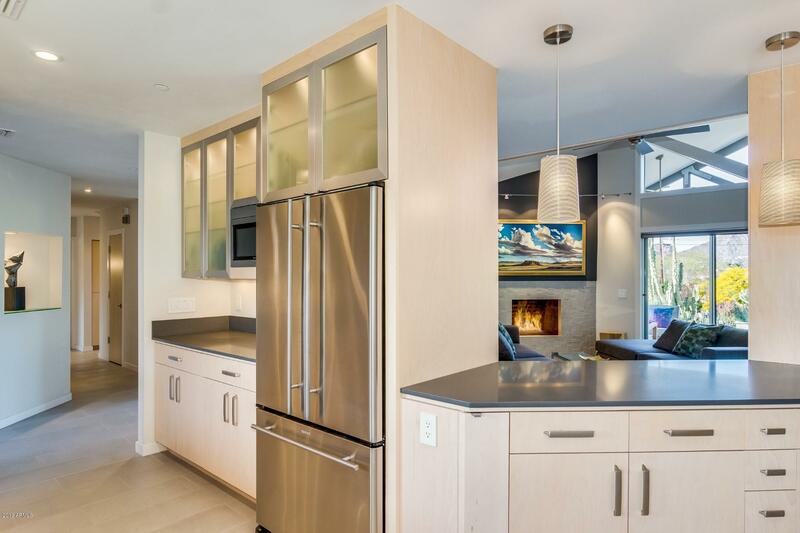 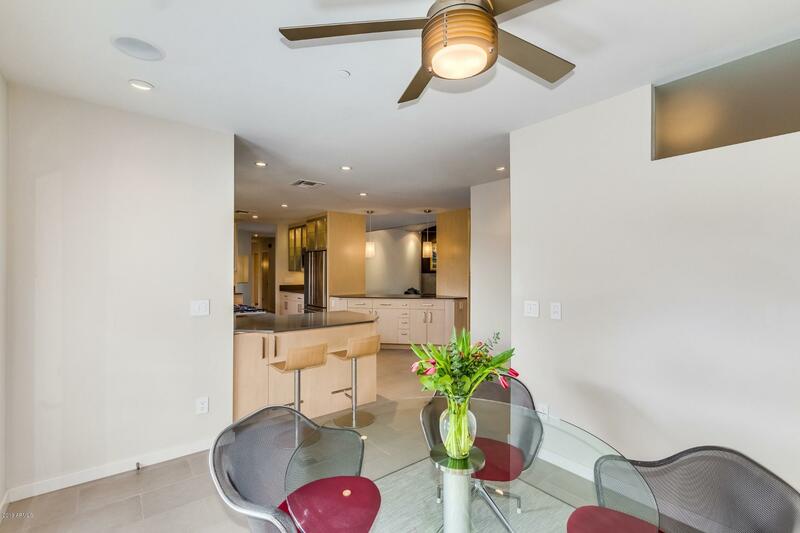 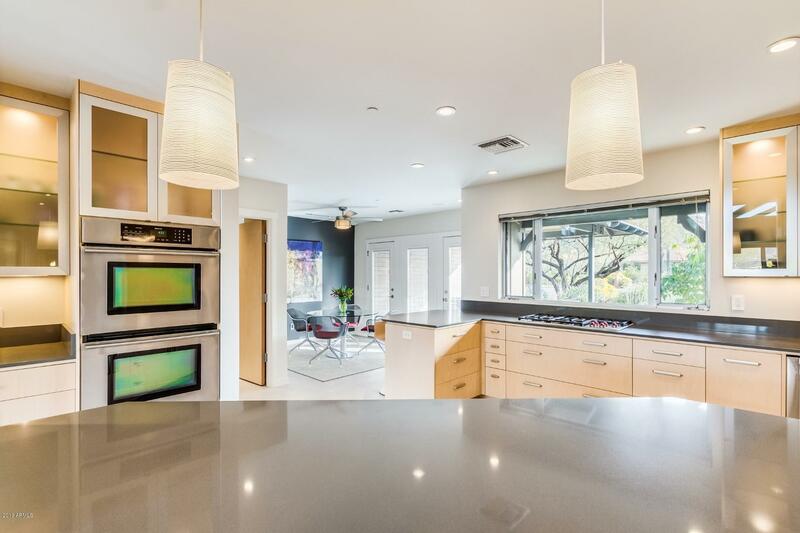 Elegant kitchen w/ custom birch cabinets, spacious master suite w/ 12 ft ceilings exit to private patio w/spa & fire pit. 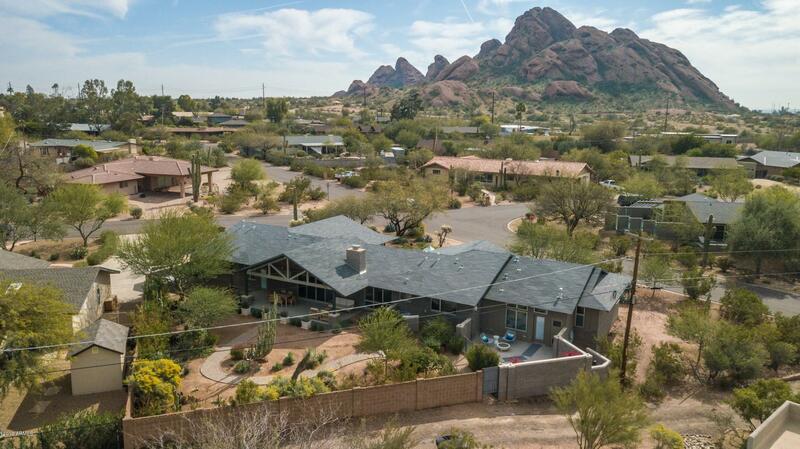 Peaceful neighborhood close to everything. 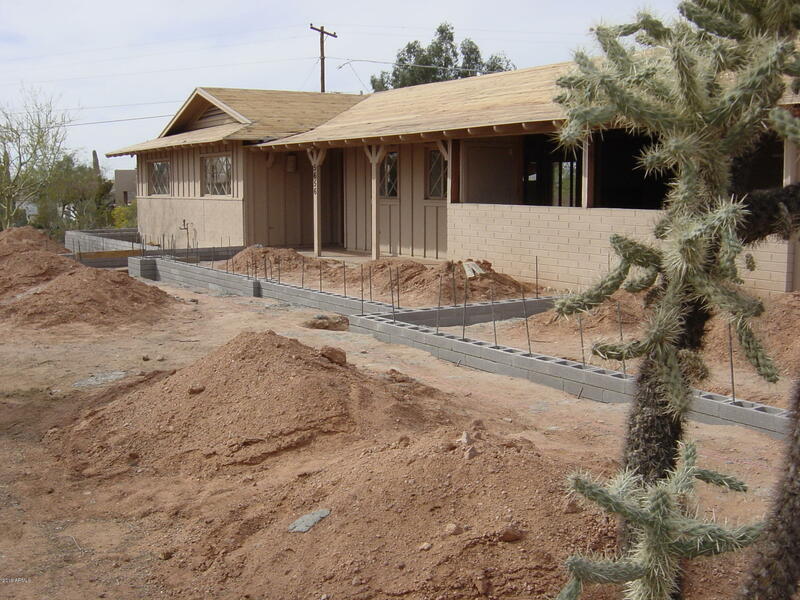 Home was taken down to a few walls, expanded & re-built in 2008. 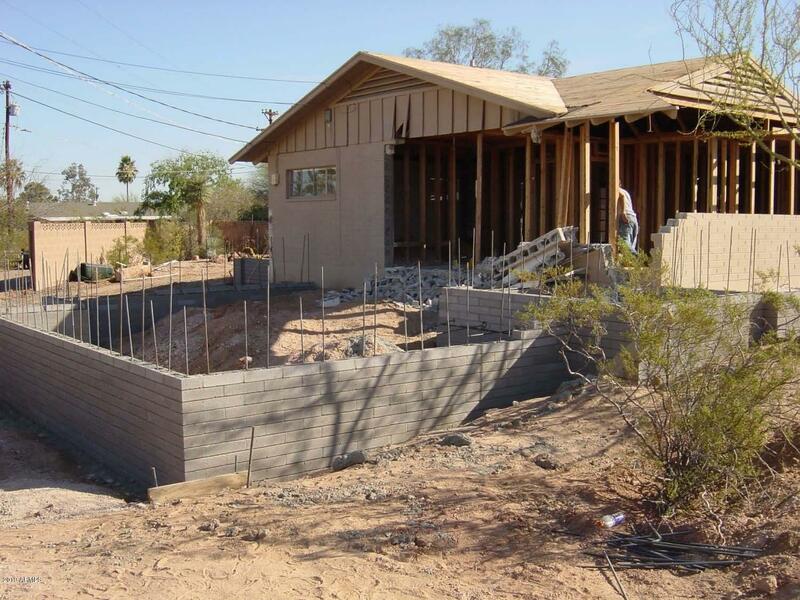 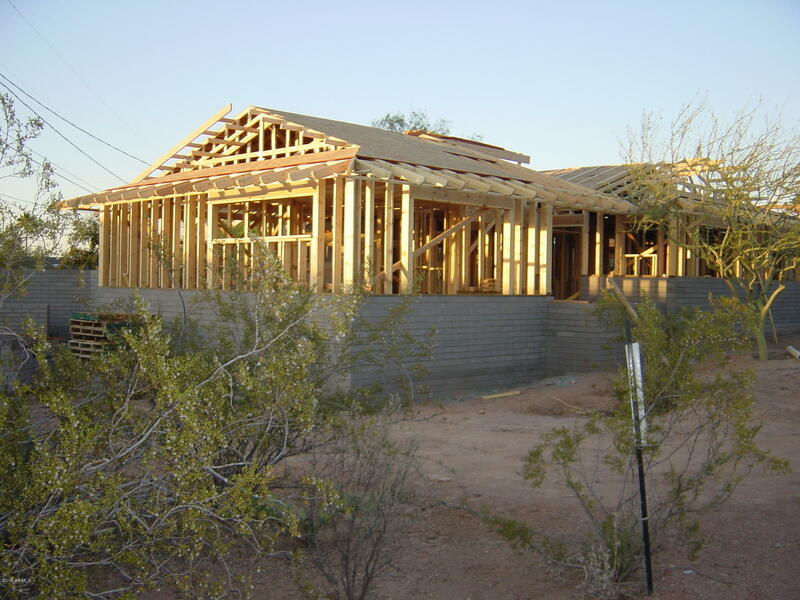 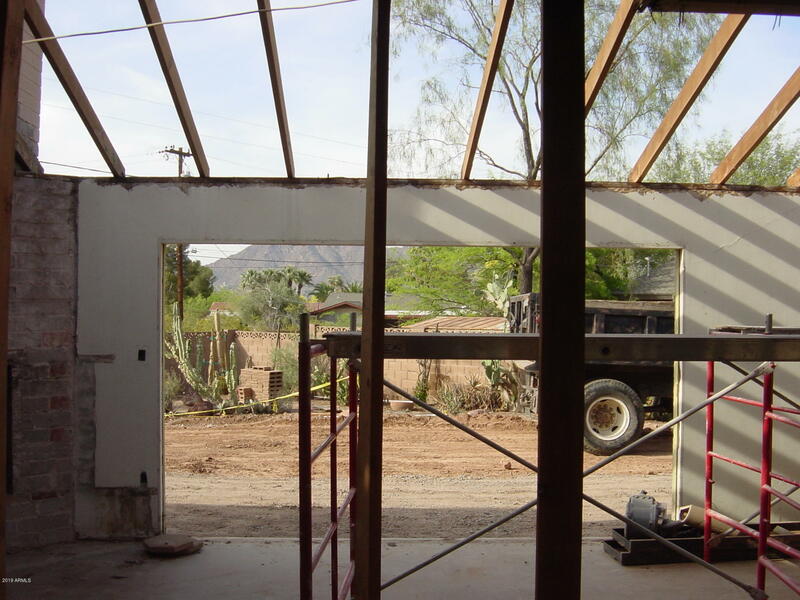 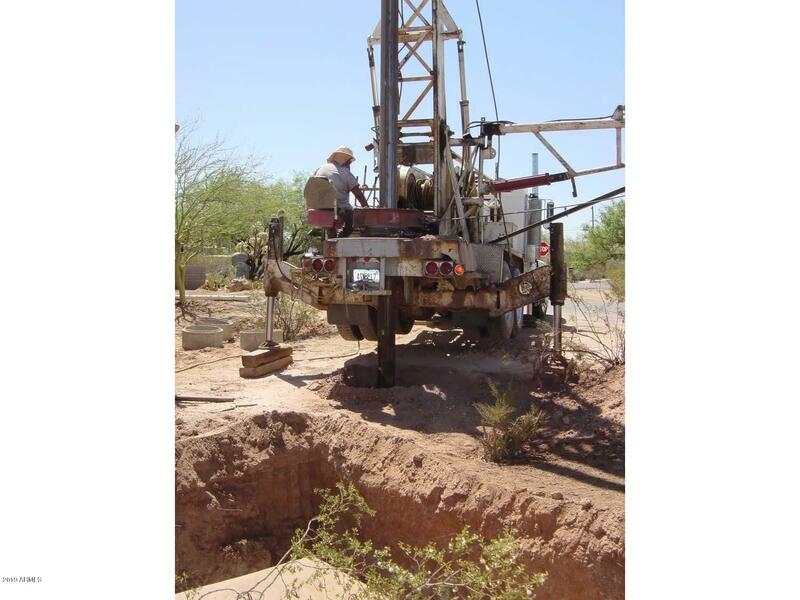 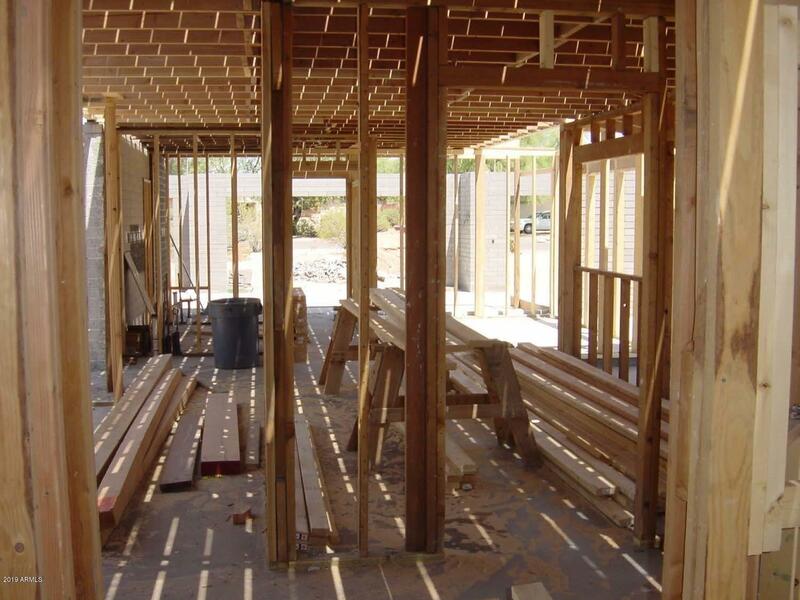 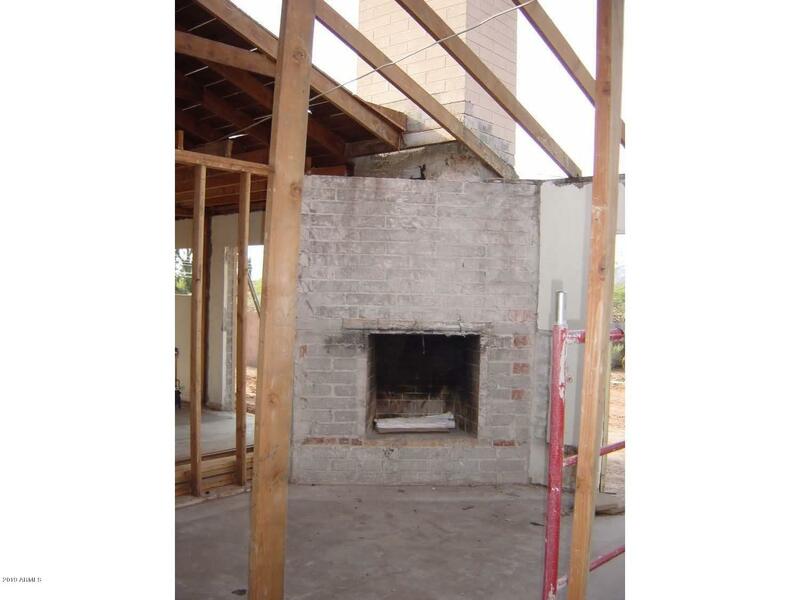 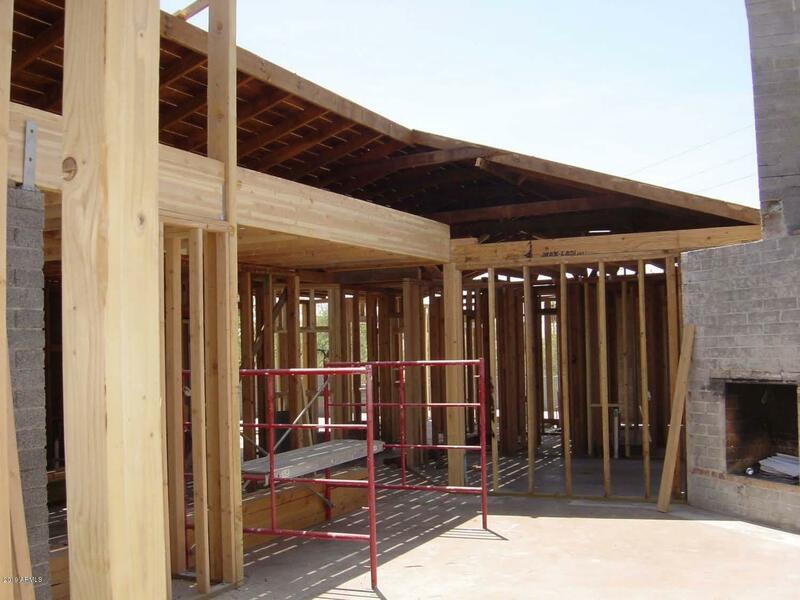 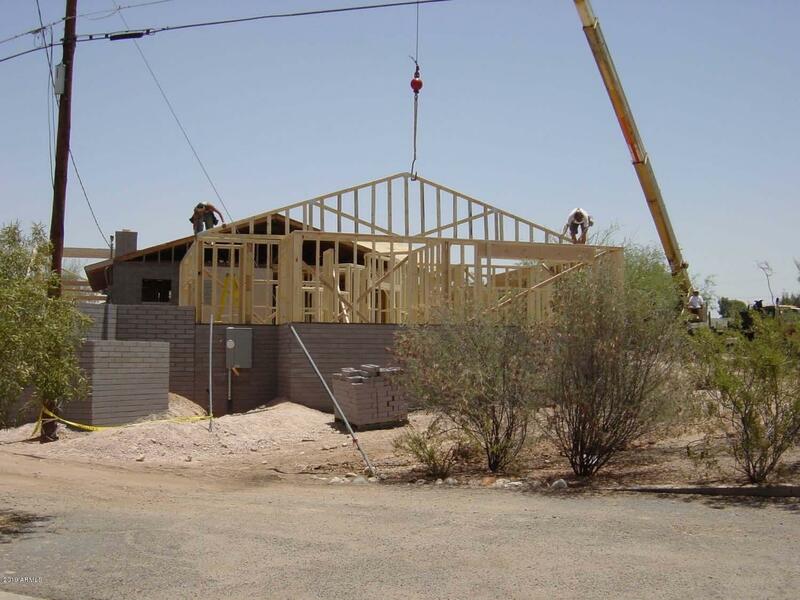 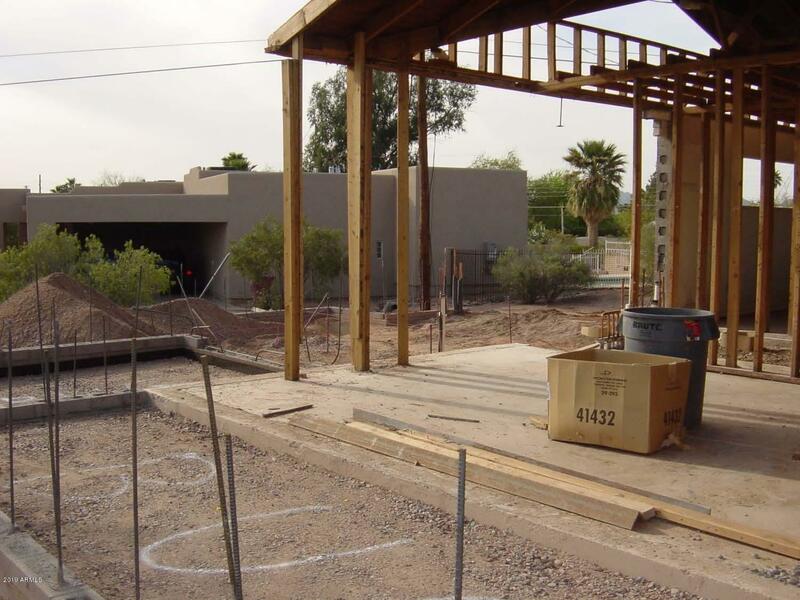 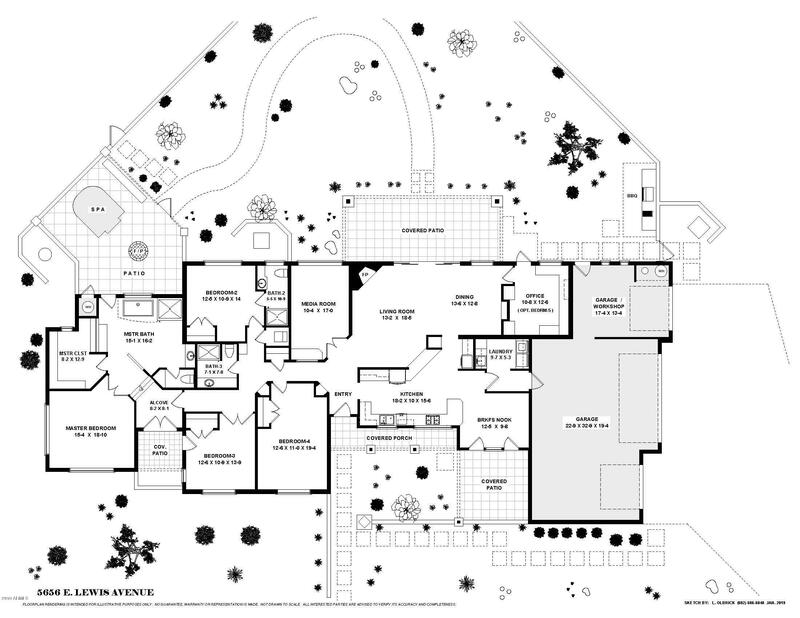 See construction photos & list of features. 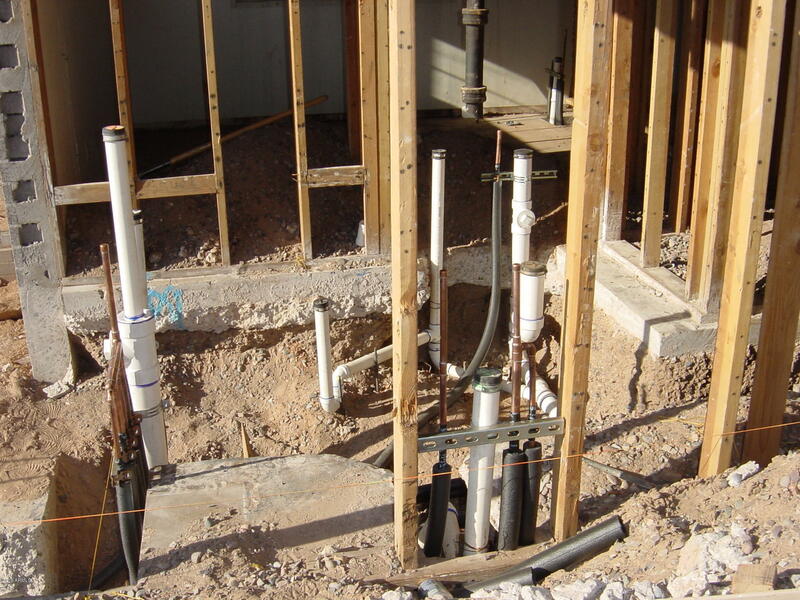 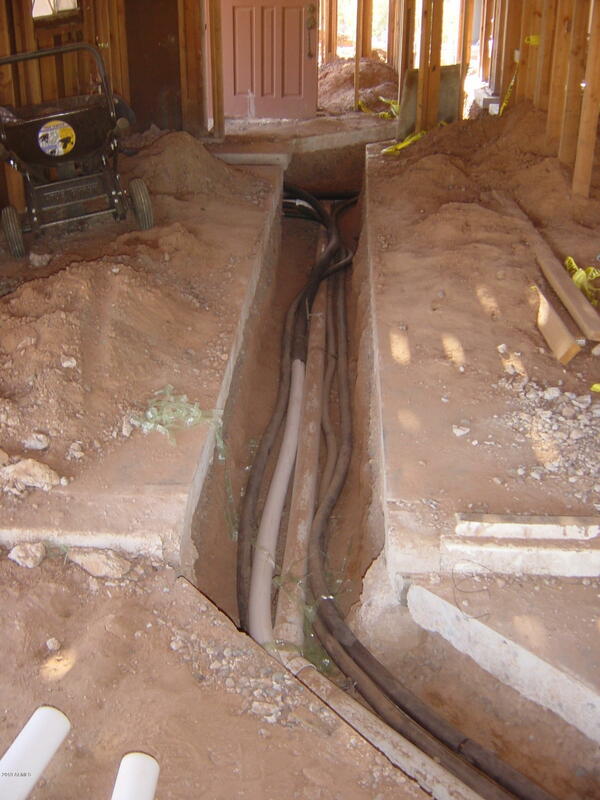 The entire house was expanded by 1200 s.f and entirely rebuilt to include electric, plumbing (including new drain pipes, new septic system, HVAC, roof (raised & re-roofed) windows, doors, surfaces, fixtures, etc. 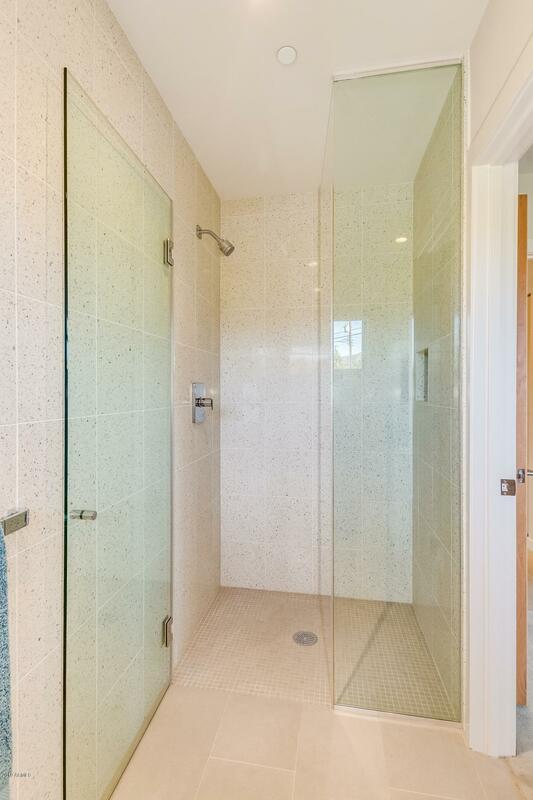 Lovingly done with the finest attention to detail.